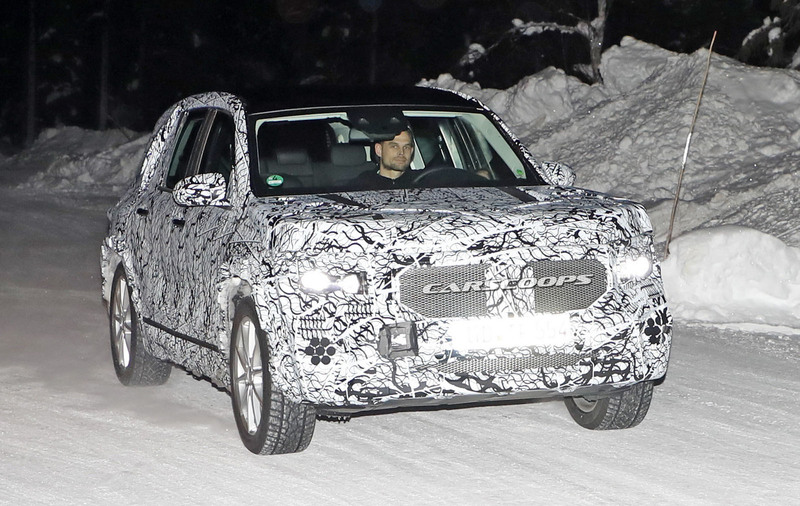 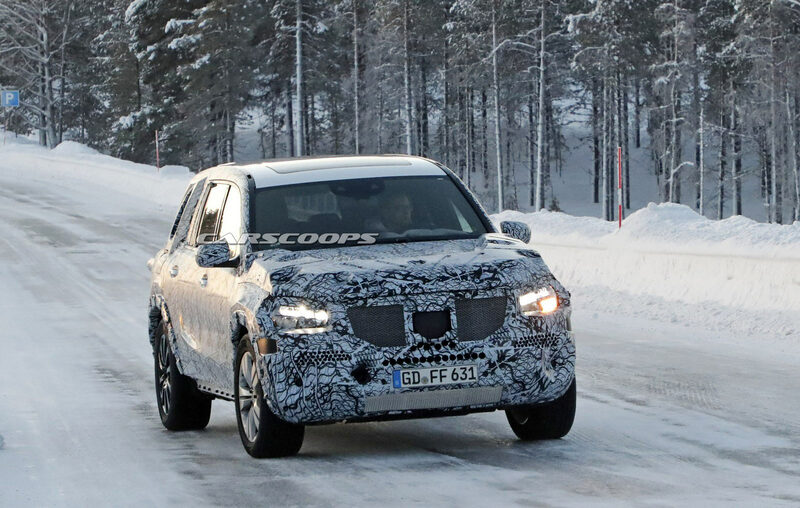 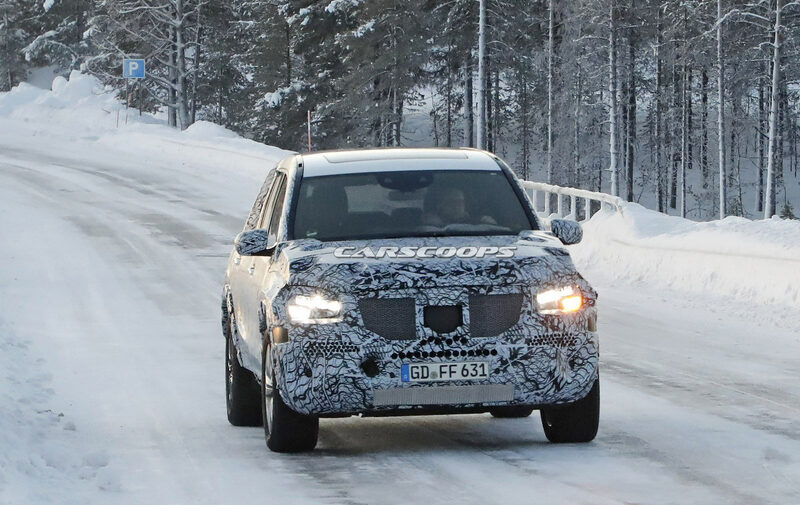 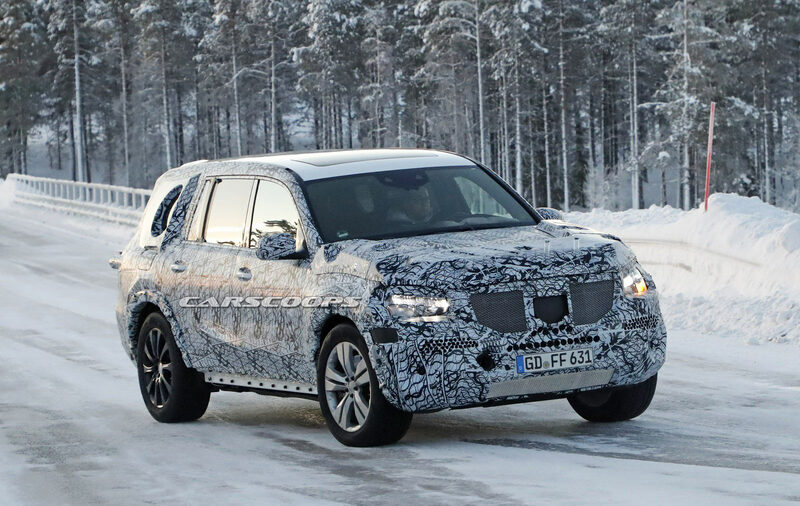 After years of rumors, these spy shots right here are our first solid proof of Mercedes-Benz developing the upcoming GLB compact SUV. 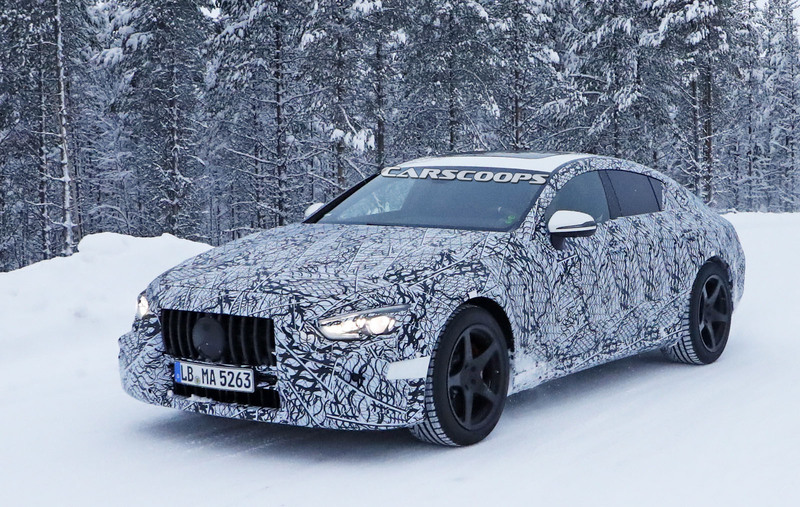 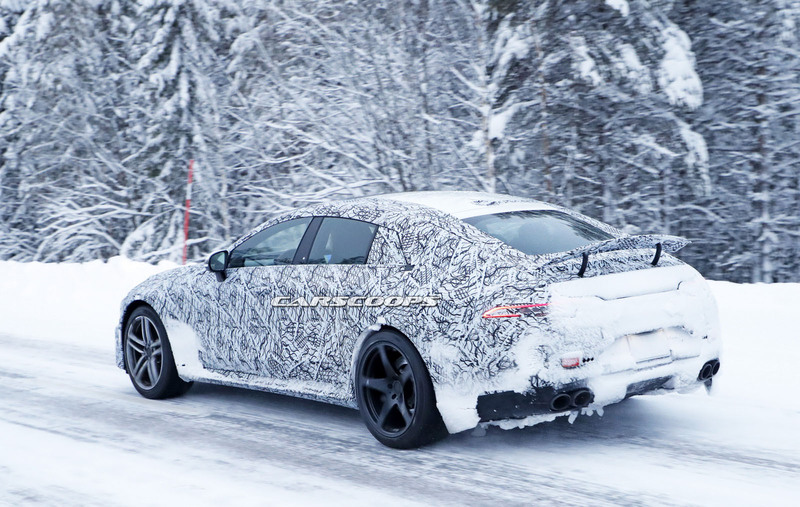 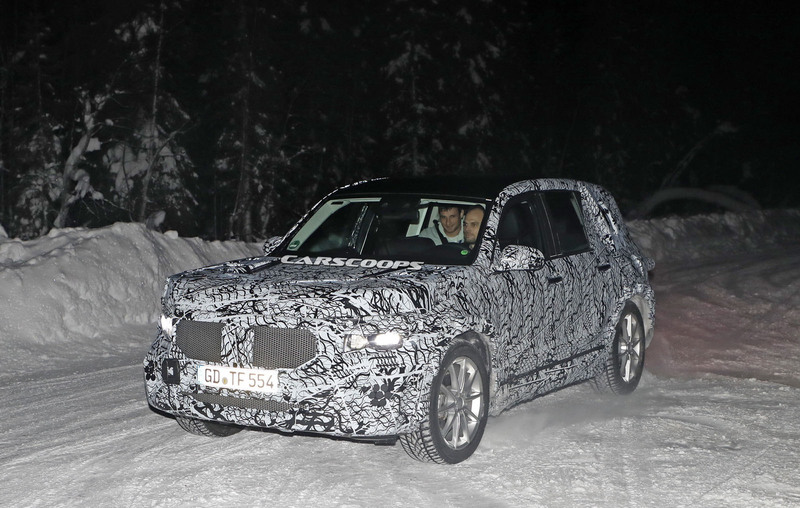 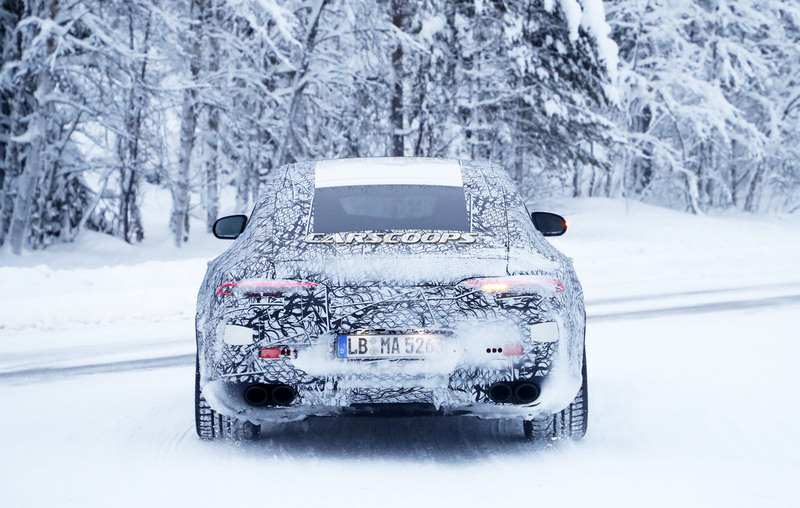 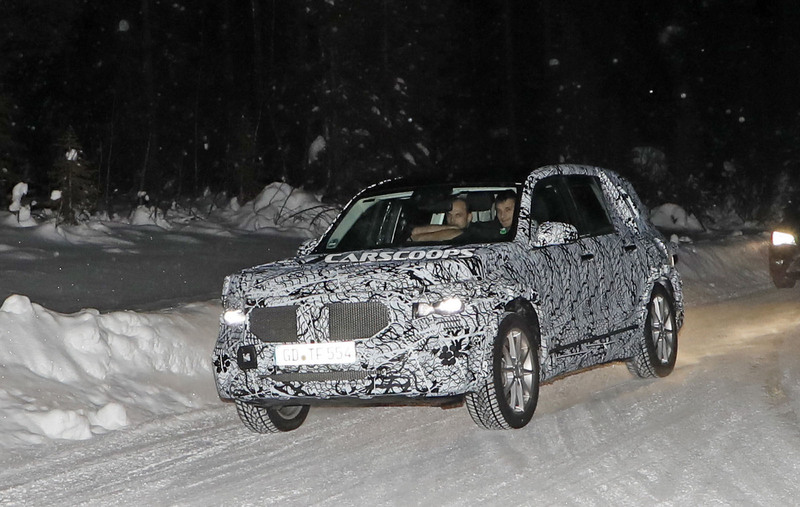 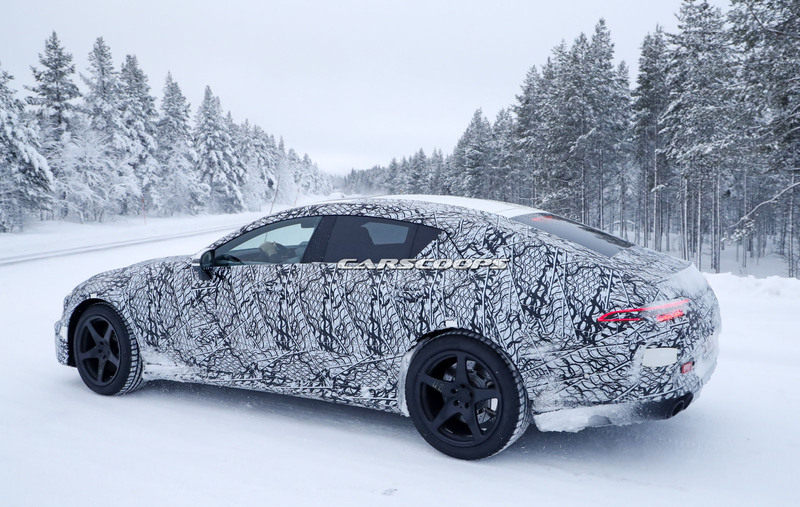 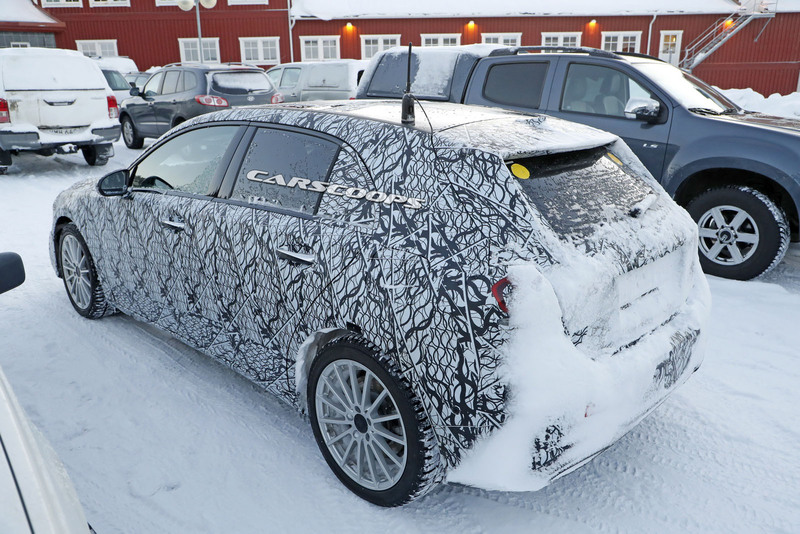 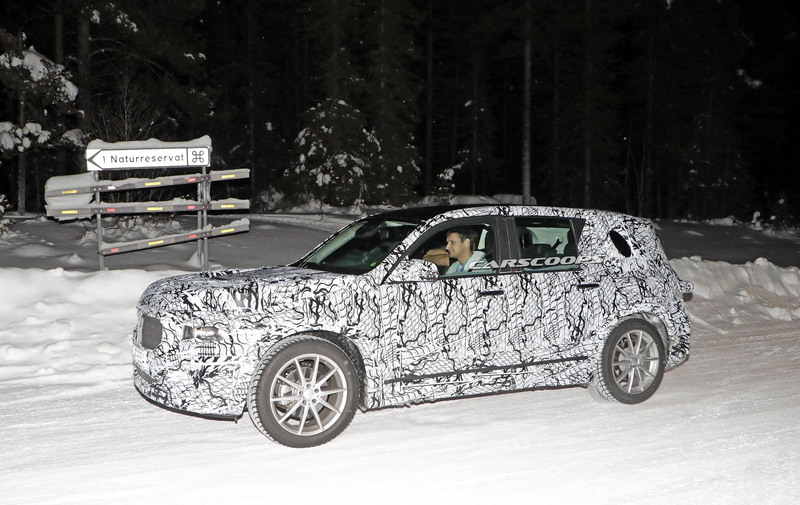 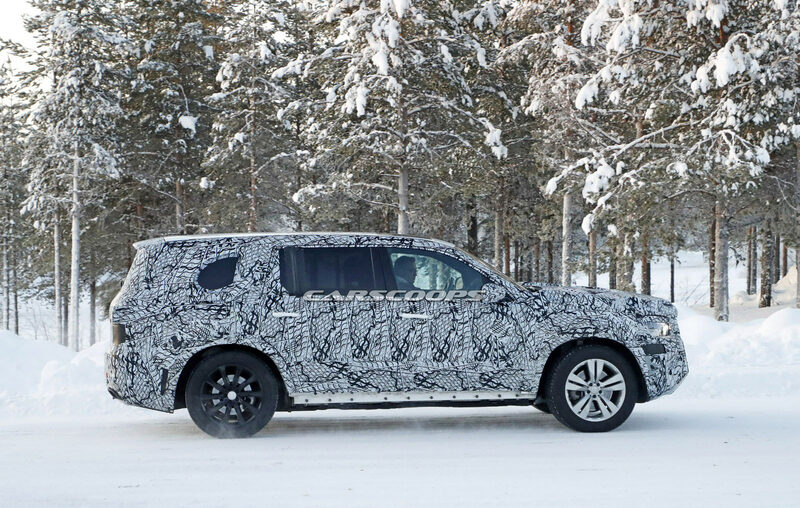 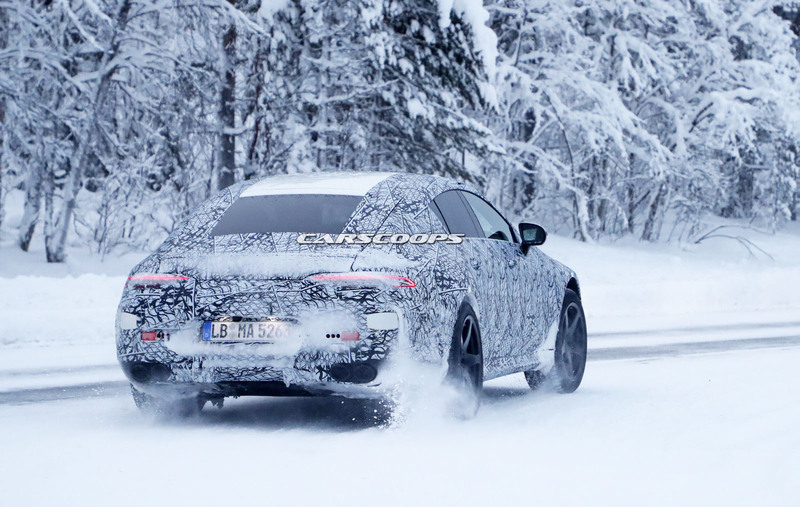 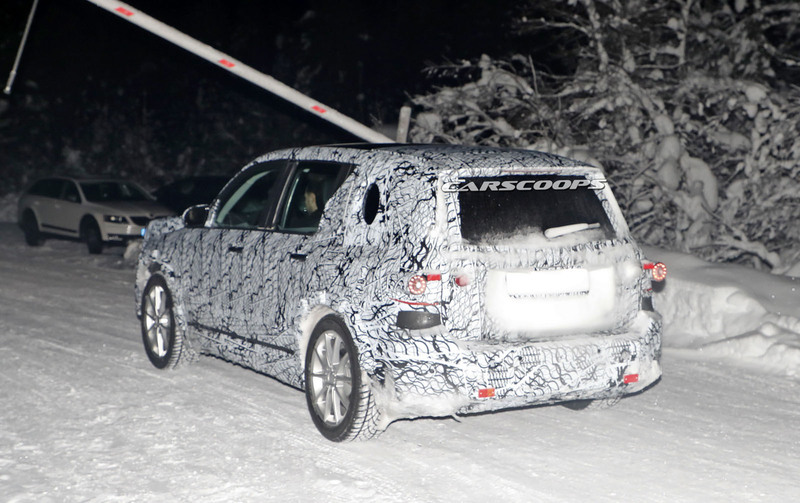 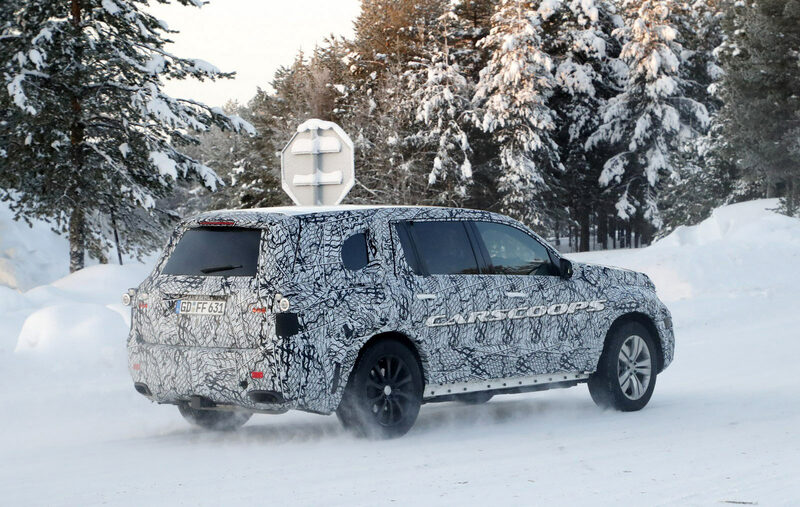 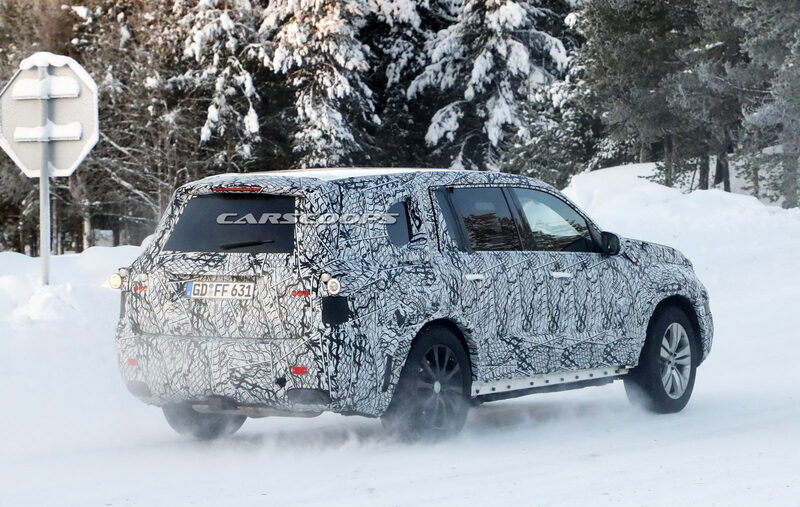 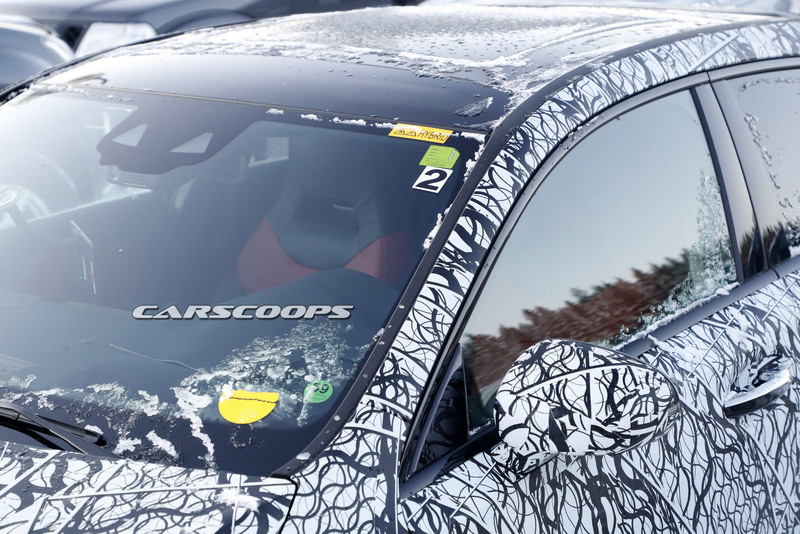 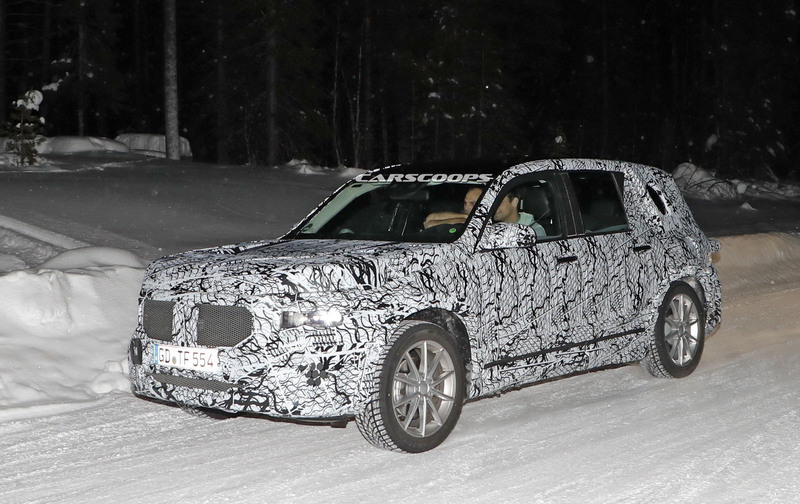 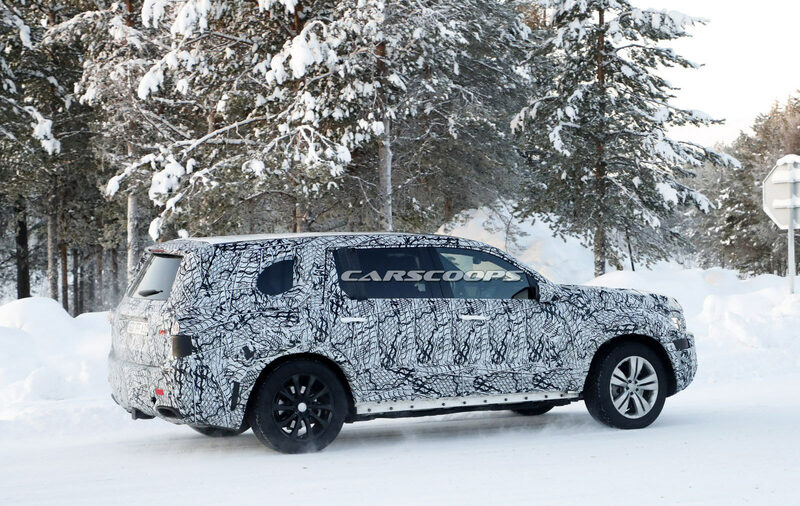 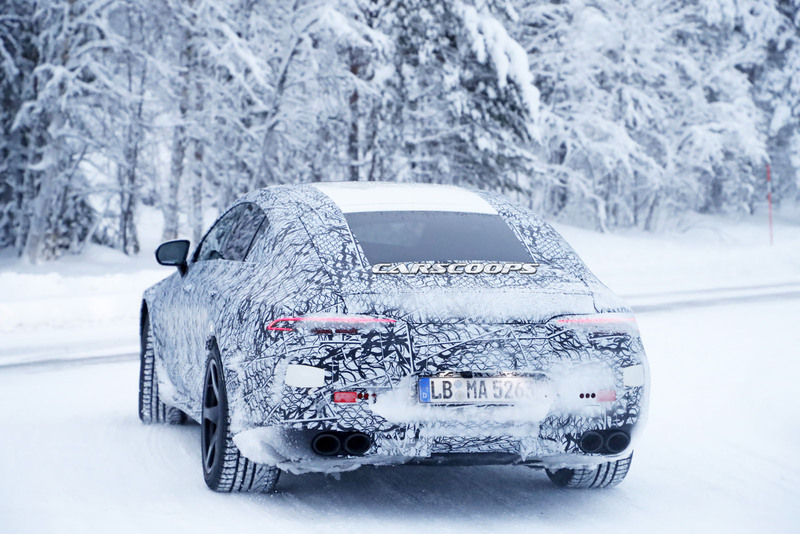 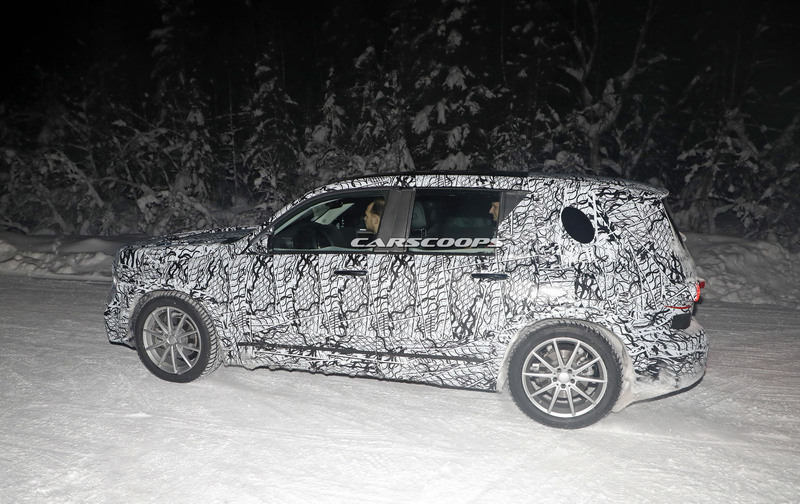 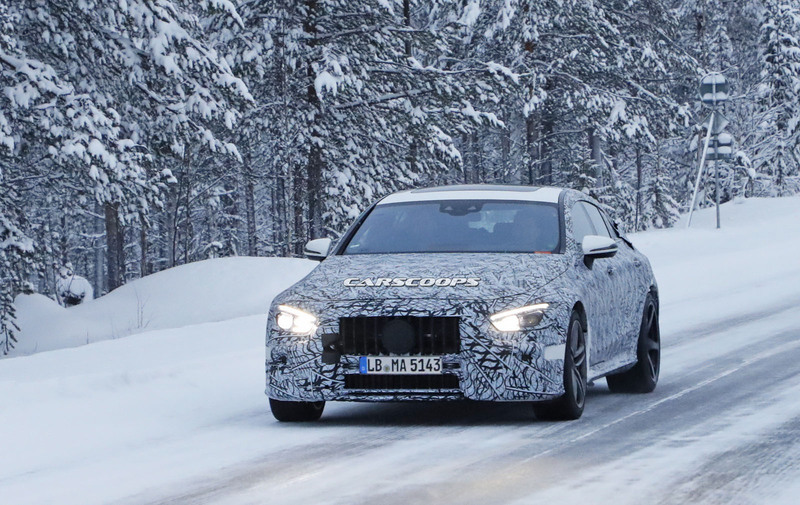 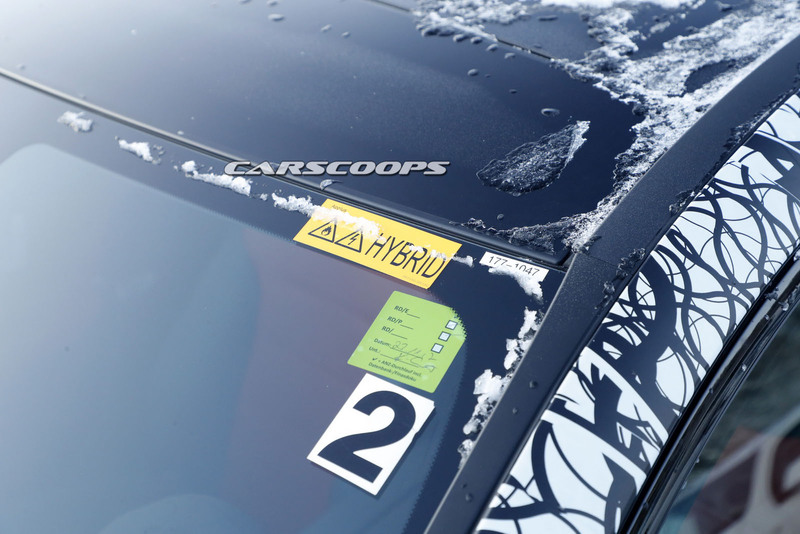 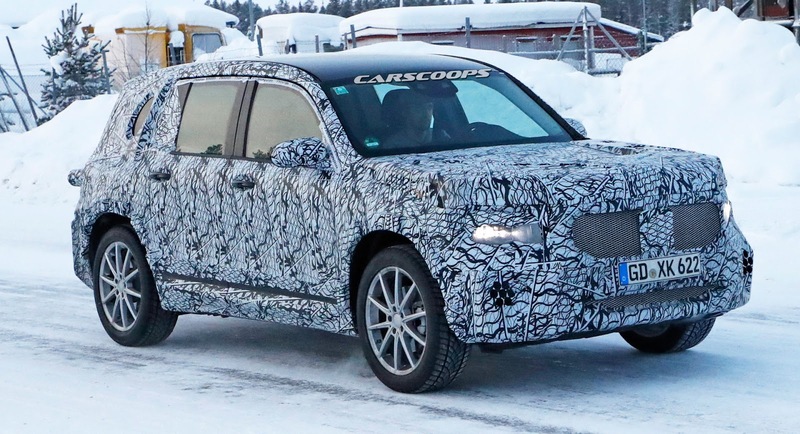 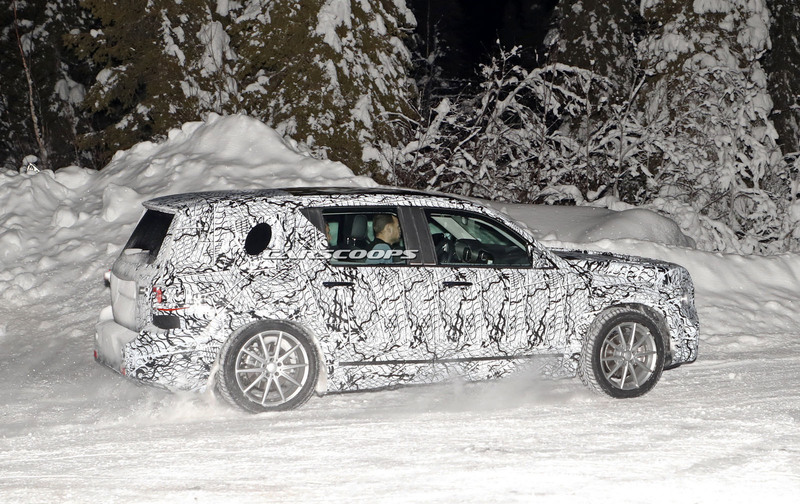 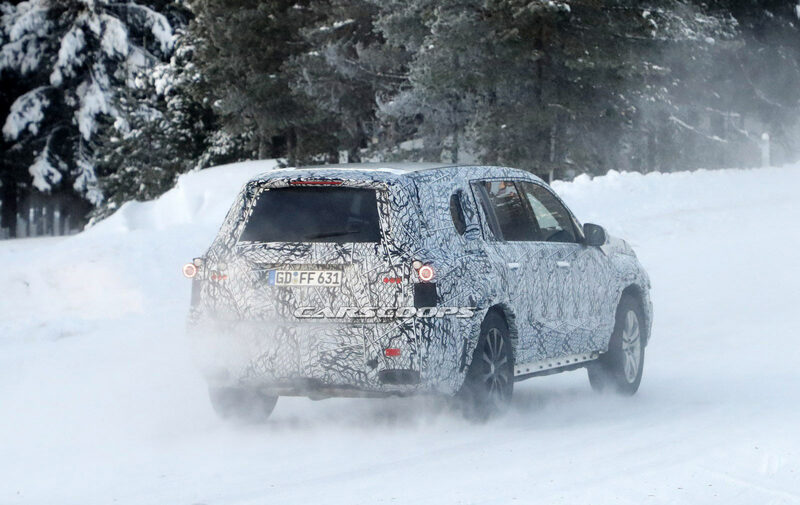 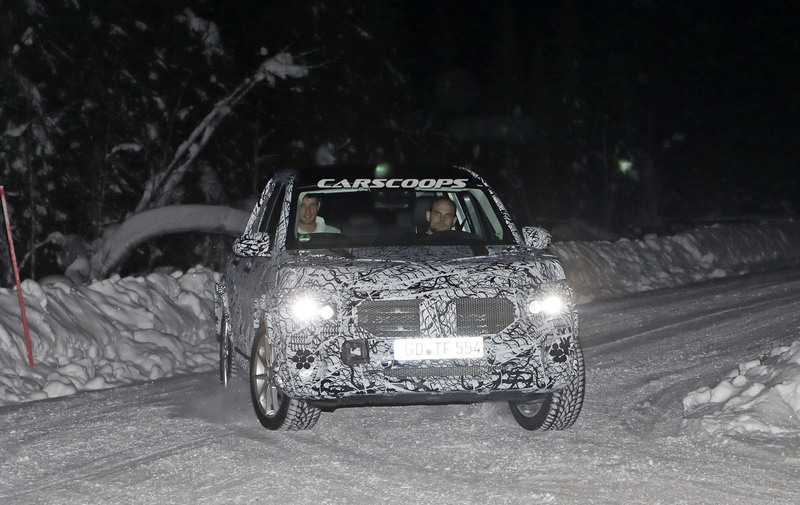 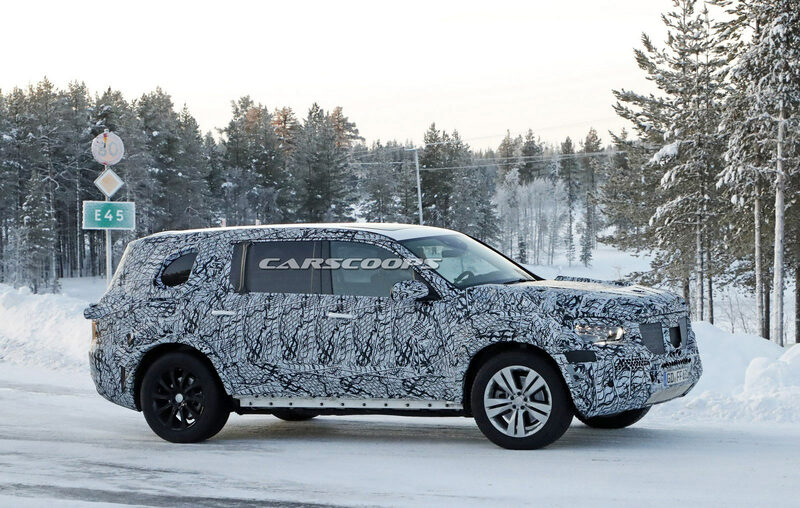 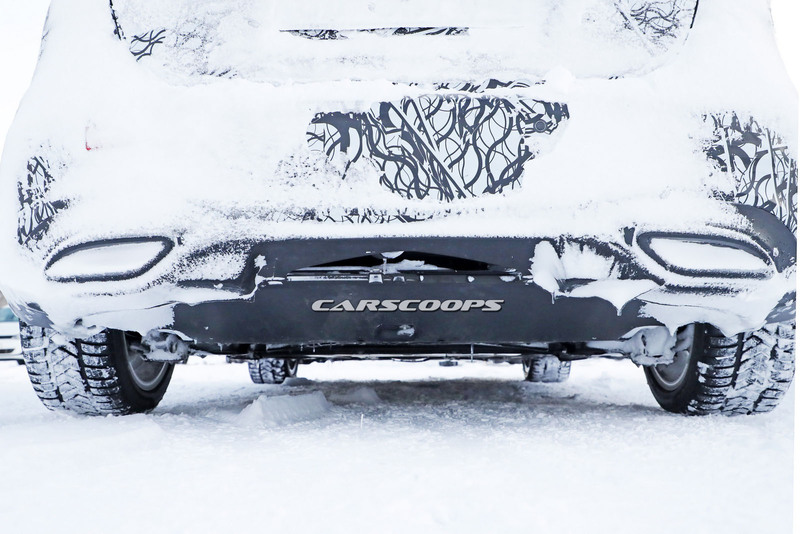 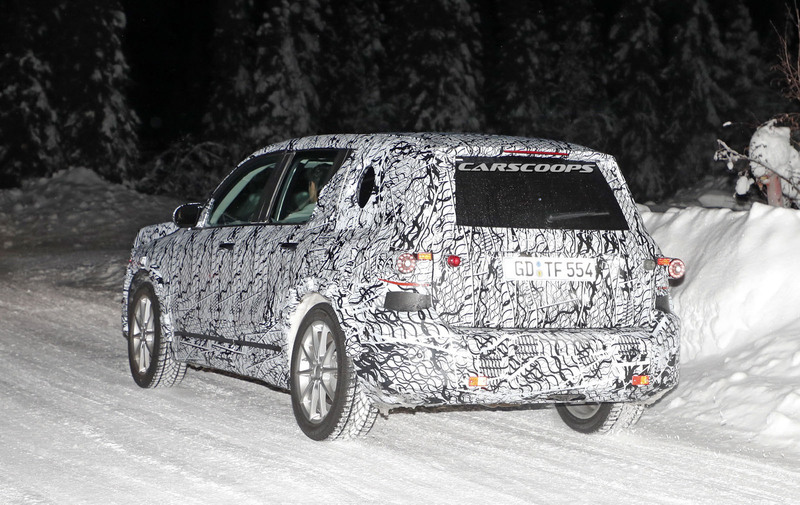 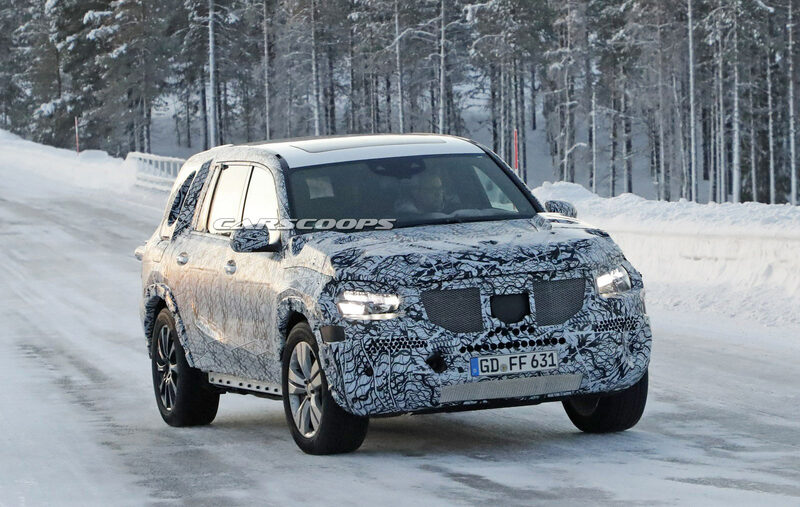 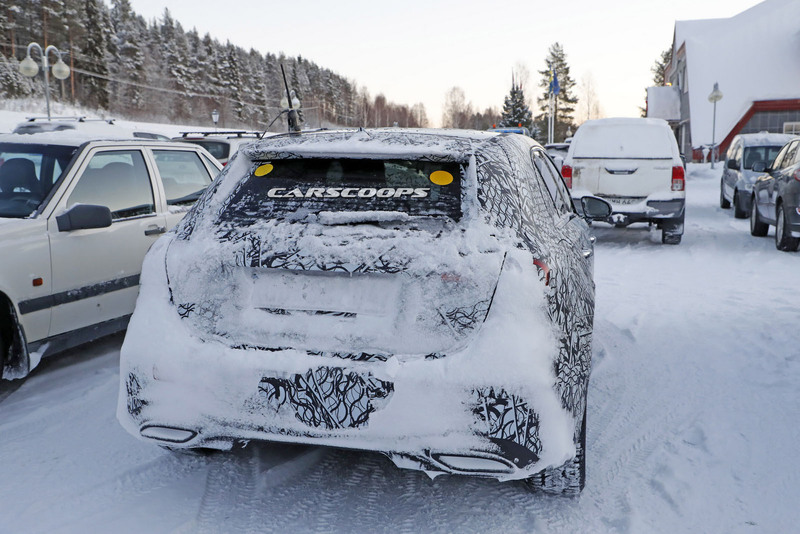 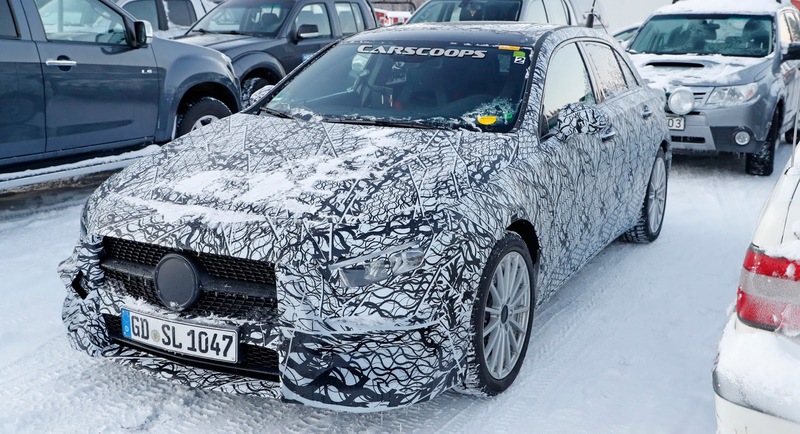 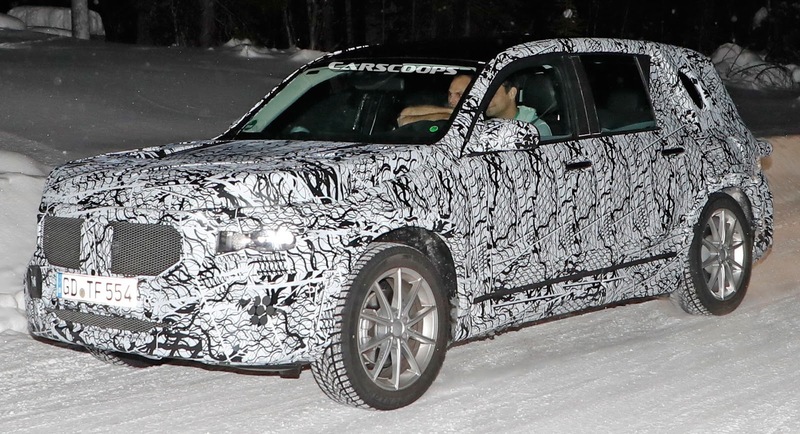 The test car was spotted undertaking some cold-weather testing, wearing a heavy camouflage that includes not only the usual swirly wrap, but also fake body extensions on areas like the bonnet and the rear roof section in a bid to keep its true shape under …wraps. 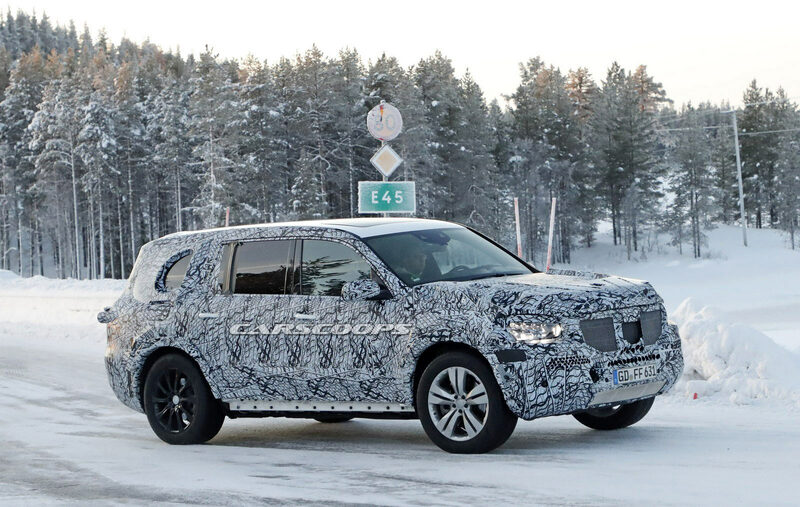 The new Mercedes-Benz GLB will be based on the same MFA2 architecture used in the upcoming A-Class and eventually GLA models, which means that there will be the usual powertrain sharing between them , including the updated range of Mercedes and Renault-Nissan Alliance four cylinder diesel and petrols. 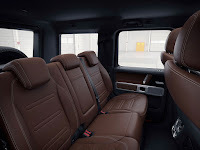 The new GLB will offer a more practical and roomier cabin than its GLA sibling while the dashboard will feature the same big displays the new A-Class will be using, as shown in the pics. 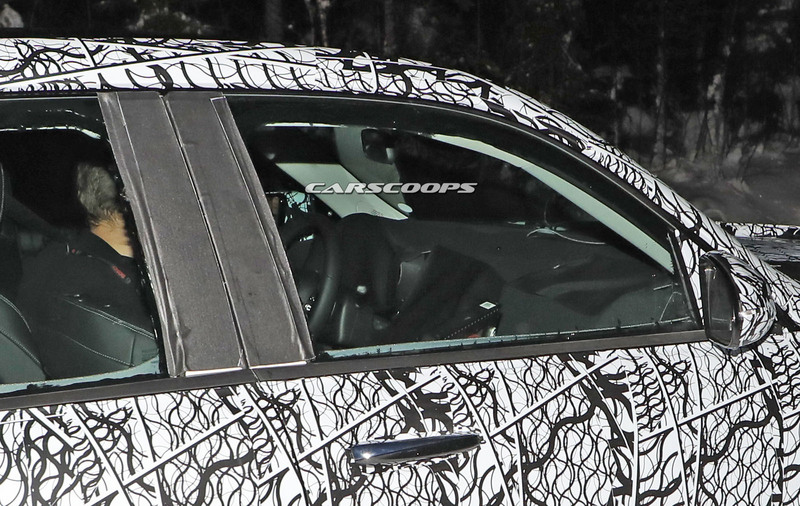 Look closely and you’ll notice the face instrument cowl trying to hide the twin-display setup. 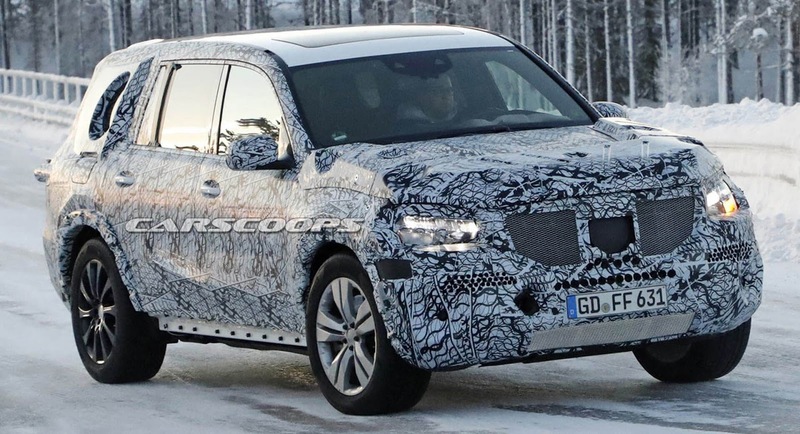 The new Mercedes GLB is expected to make its debut sometime in late 2019, with the development still in its early stages, so expect to hear more in the coming months. 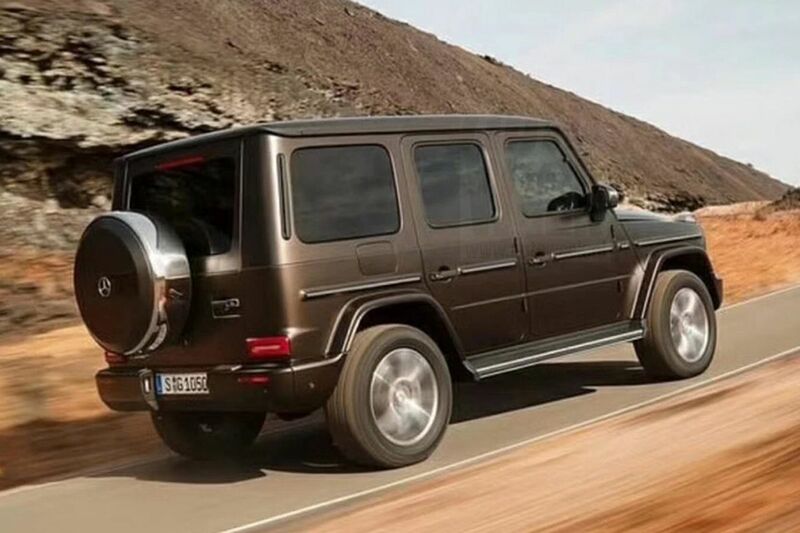 Just a few hours after Mercedes dropped the first technical details of the new G-Class, a set of camouflage-free photos have surfaced online. 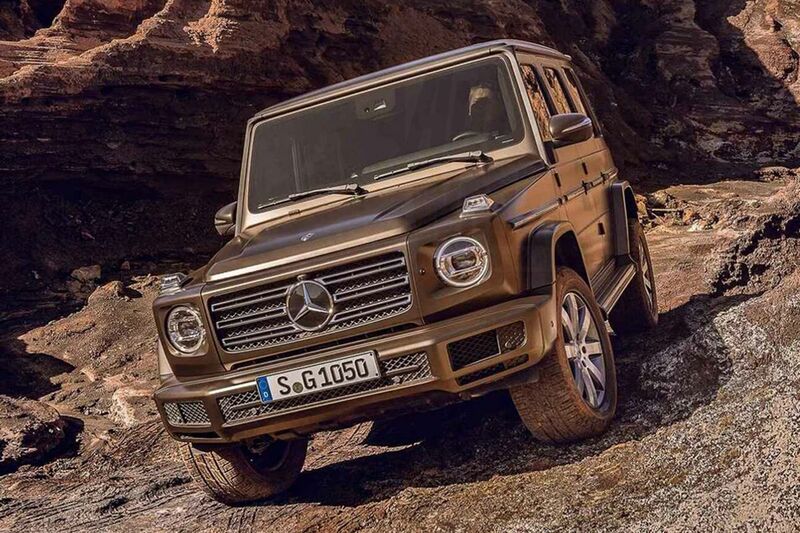 Courtesy of AutoWeek.nl, we get to see the new, heavily revised off-road icon in all its glory and rather unsurprisingly it looks almost the same. 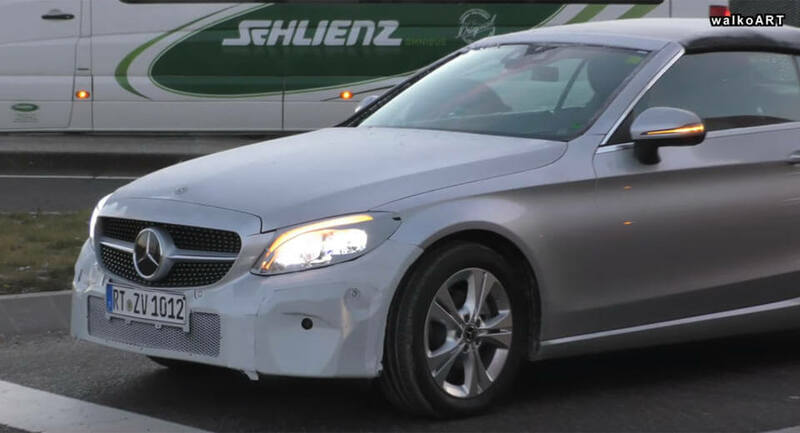 The biggest visual differences can be spotted at the headlights, bumpers and front grille, which are not that big to the untrained eye. 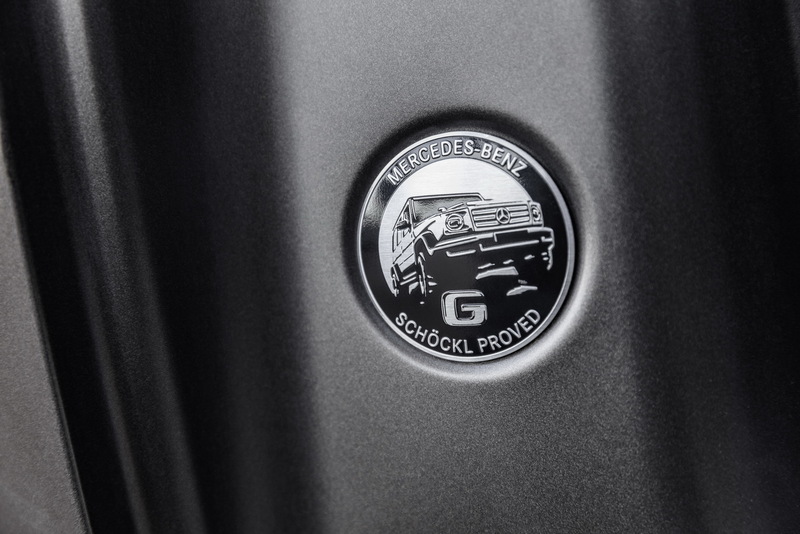 The new Mercedes logo on the grille also houses the radar sensors necessary for the semi-autonomous functions the new G-Class is expected to offer. 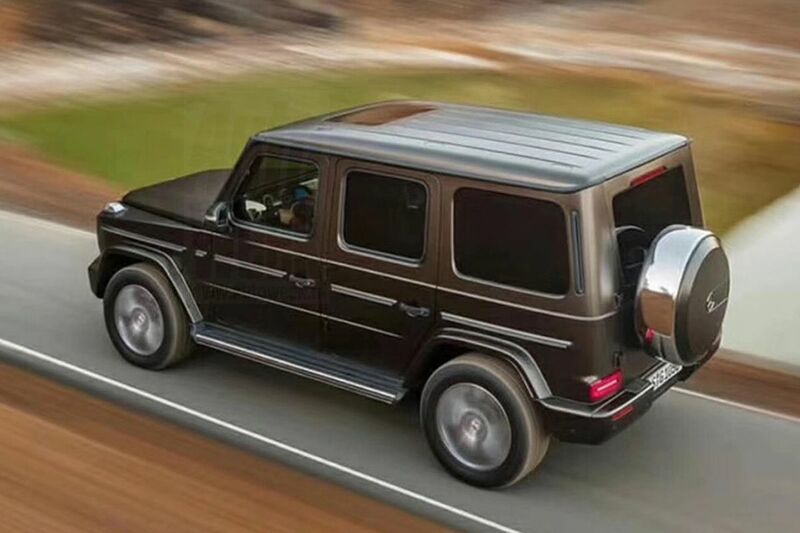 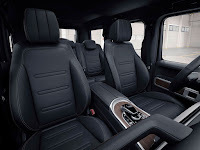 The highlights of the new generation G-Class however are to be found under the skin: Mercedes has already confirmed the addition of a new independent front suspension that should help the G-Class not only offer better on-road manners but also improve the already impressive off-road capabilities of its predecessor. 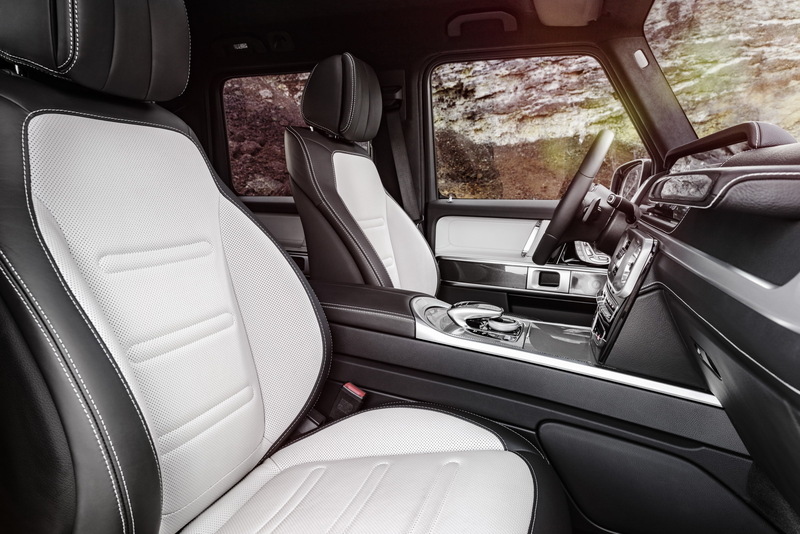 The new Mercedes G-Class will offer approach and departure angles of 31° and 30° as well as a maximum fording depth of 70cm (27.5 inches). 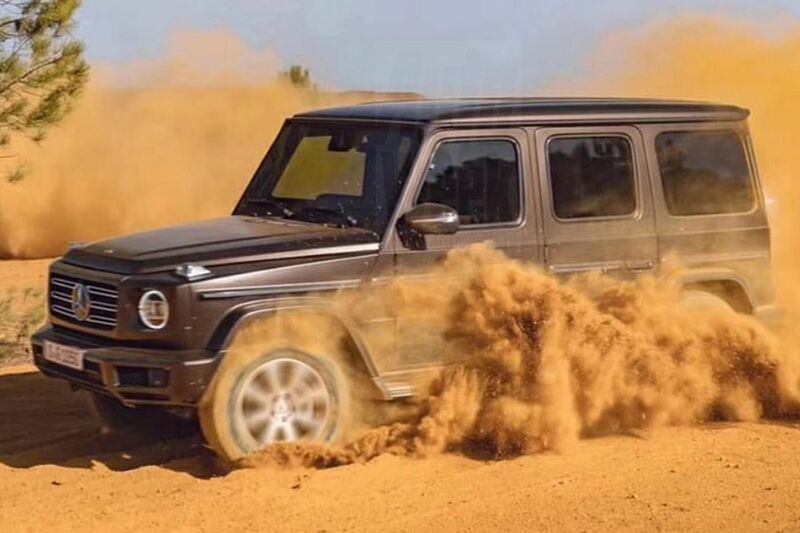 Breakover angle is 26 degrees while the ground clearance between the axles is 241mm (9.5 inches). 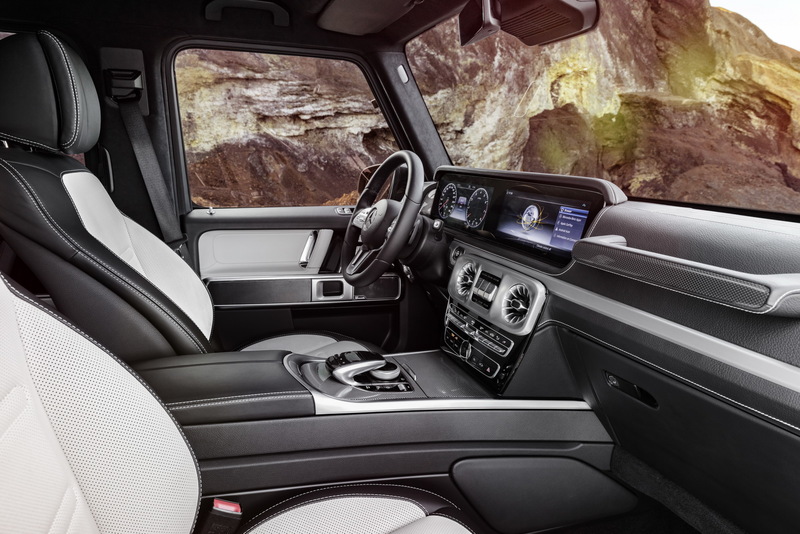 A new 9G-Tronic nine-speed automatic transmission, paired with low-range, three lockable differentials and an all-new off road-oriented G-mode will also be present. The overhauled interior now features the familiar twin digital displays as an option, two removable cup holders, as well as more room for everyone: rear passengers get an extra 150mm (5.9 inches) of legroom and an extra 56mm (2.2 inches) of elbow room. 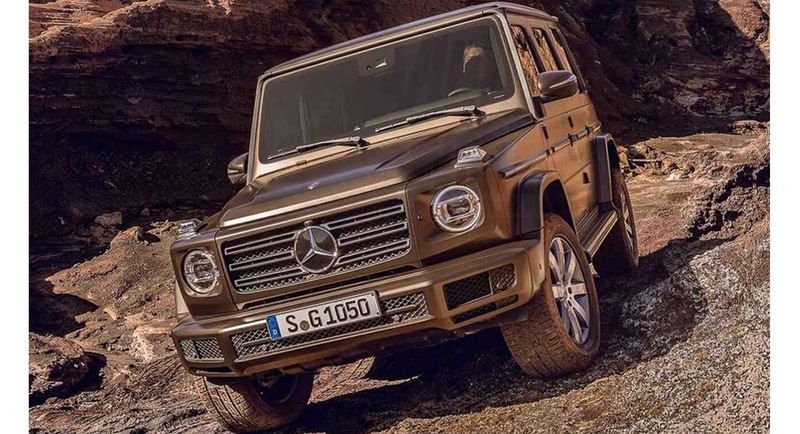 The new Mercedes G-Class will be revealed at the Detroit Auto Show on January 15, where we’ll get the full details, including powertrains and the full list of its tech features. 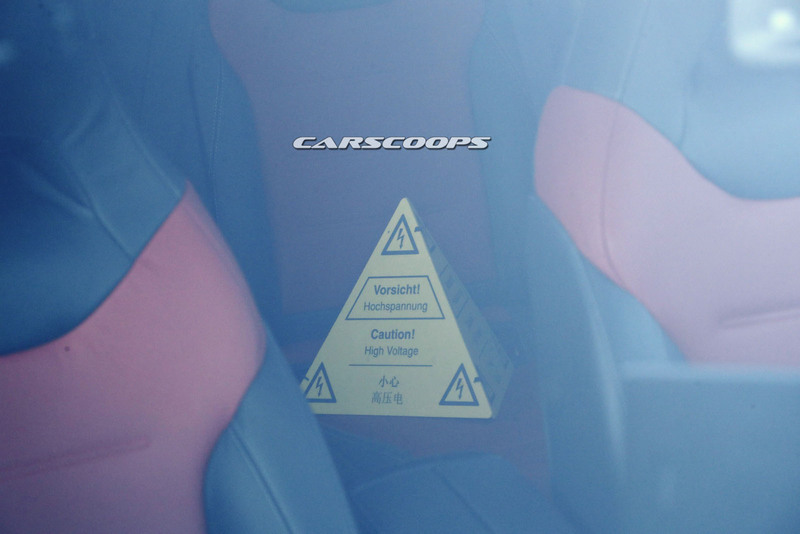 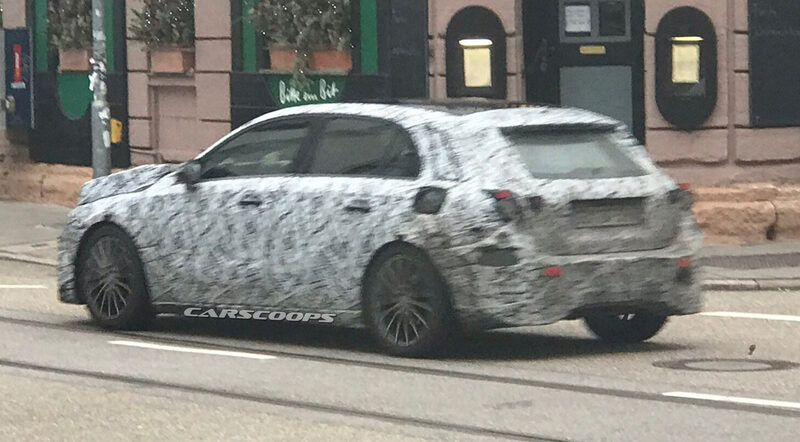 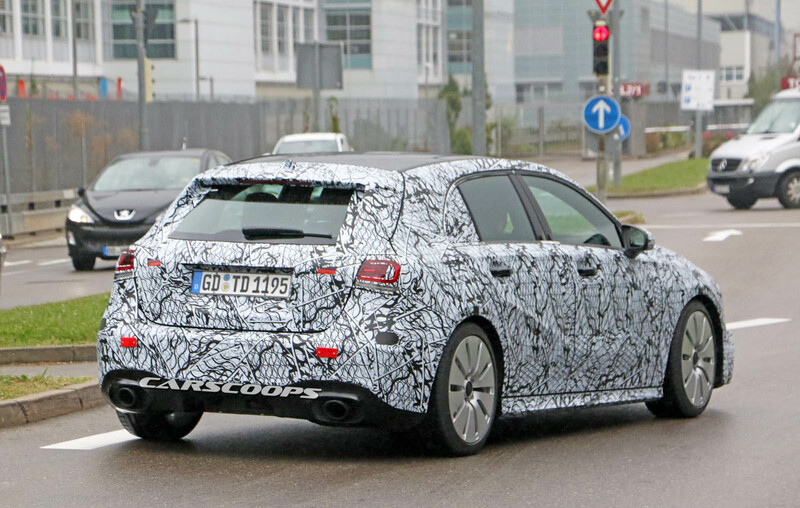 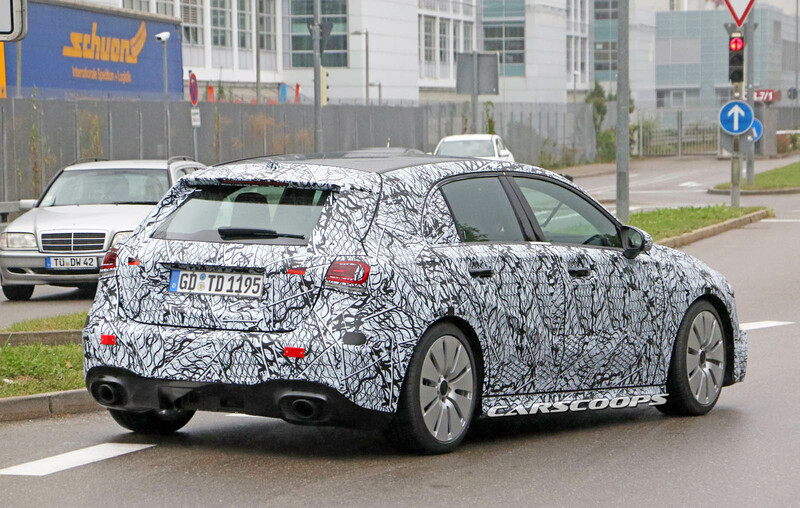 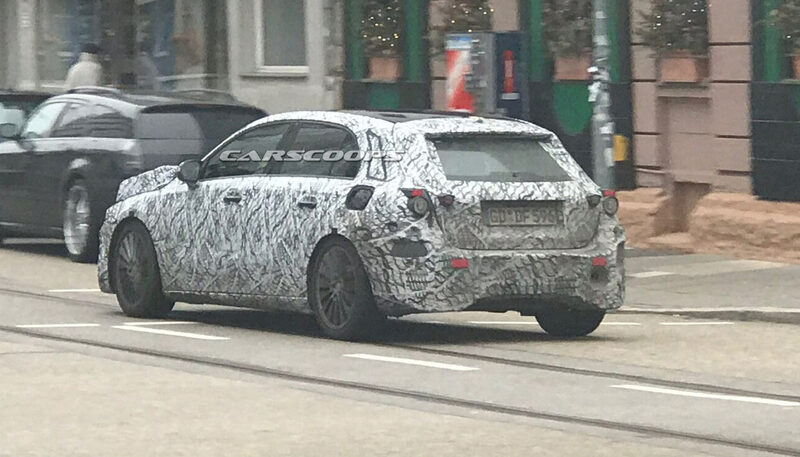 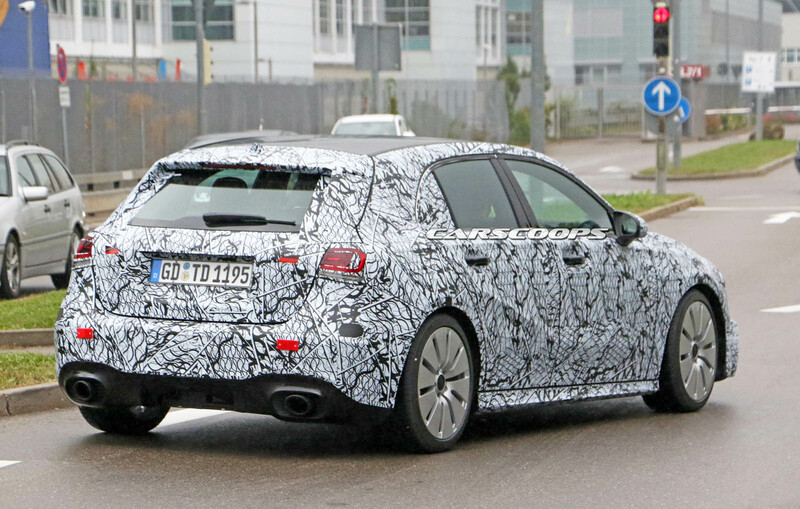 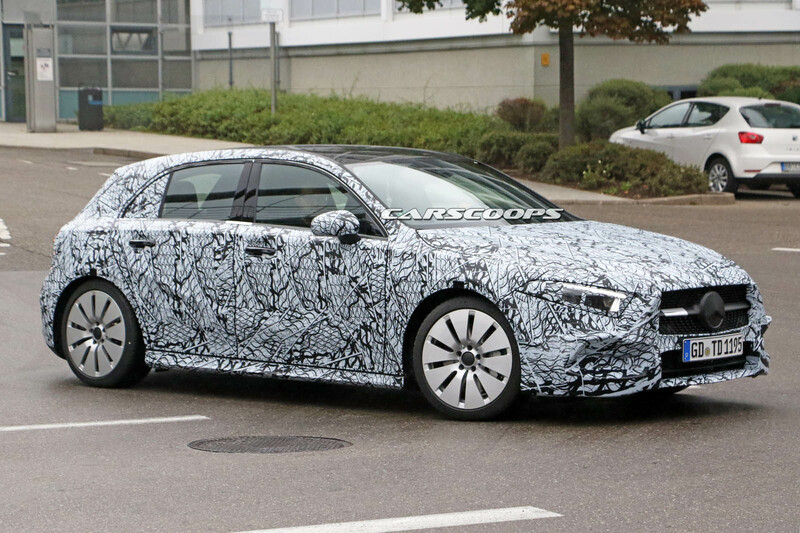 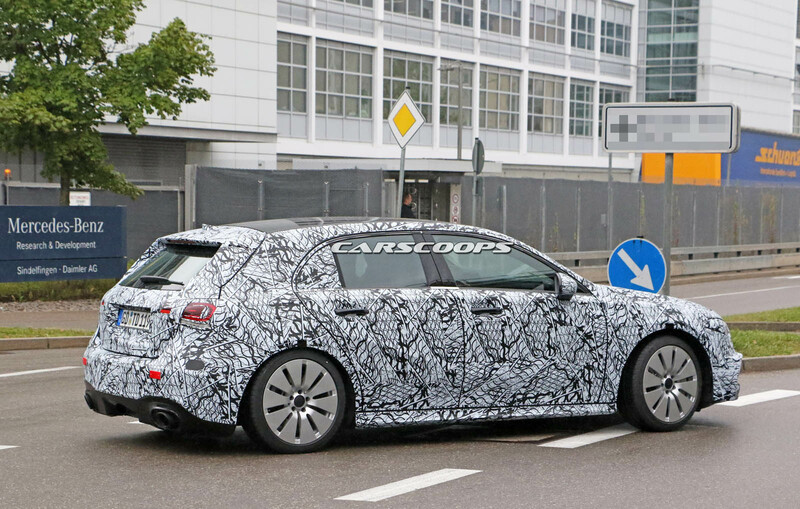 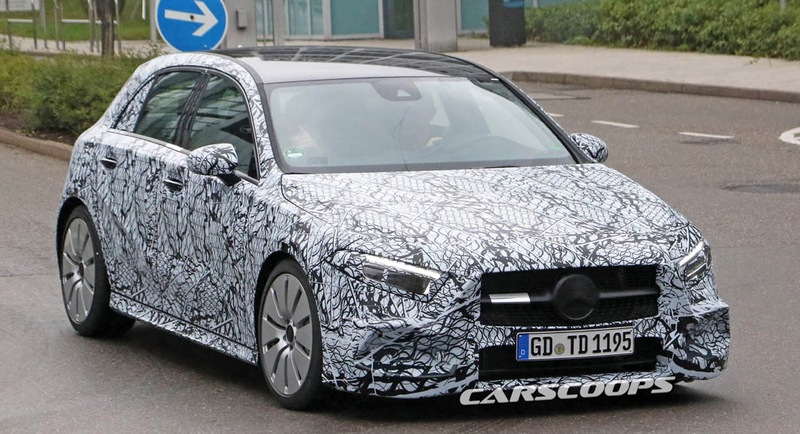 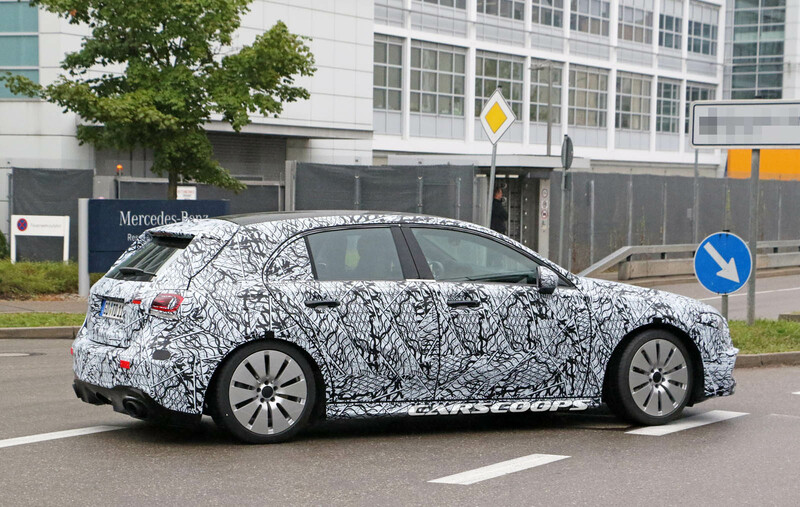 To the untrained eye, this is a prototype of the 2019 Mercedes-Benz A-Class, but look closer and you might doubt that. 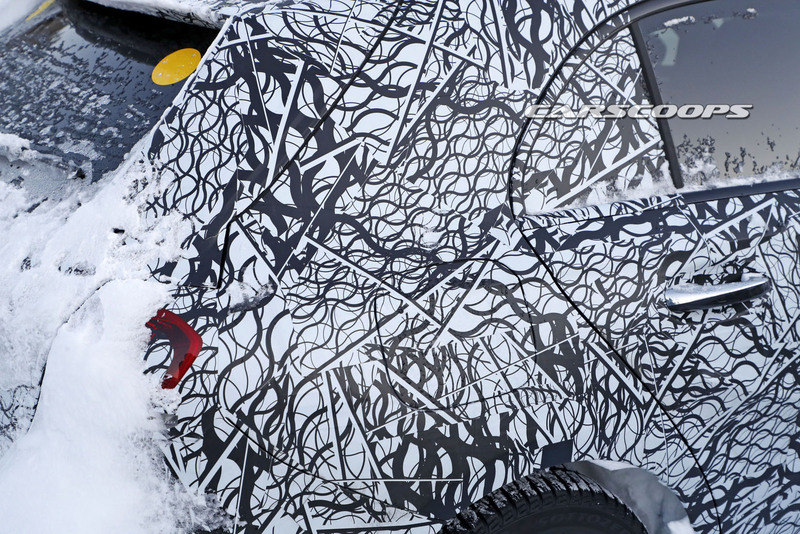 Although its low ground clearance and overall stance point to this being the next A-Class, the test car that, naturally, is covered in camo has fender extensions, which makes us wonder whether we’re looking at a mule of the hatchback or the next generation of the GLA. 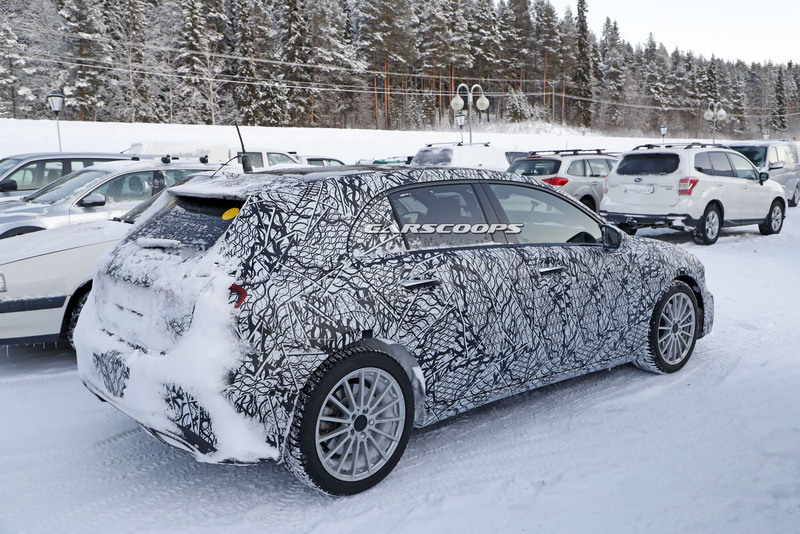 Development of the premium subcompact crossover is still in an early stage, but the vehicle will continue to share the same architecture with the A-Class. 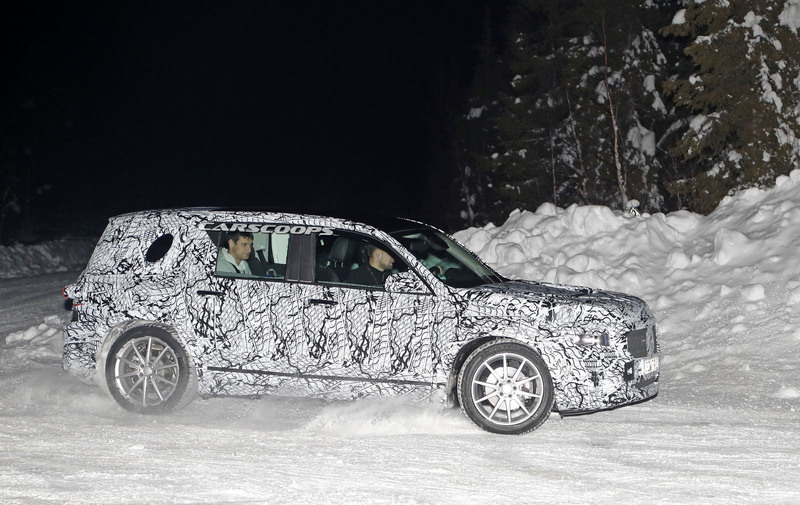 However, it will differentiate itself with wider tracks, increased ground clearance and a higher driving position. 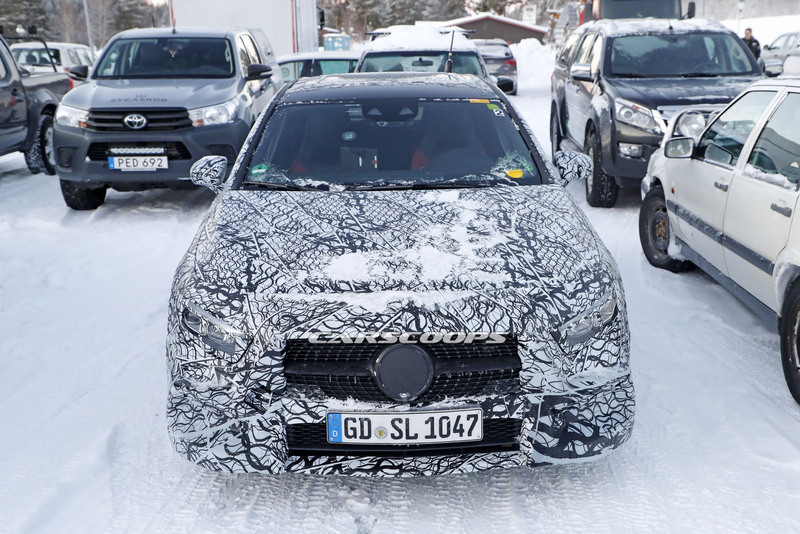 Most of the engine lineup will be shared between the GLA, A-Class, B-Class, CLA, and rumored GLB, and one of the units that will power them will be the new 1.3-liter petrol unit that’s been co-developed by Renault-Nissan-Mitsubishi Alliance and Daimler. 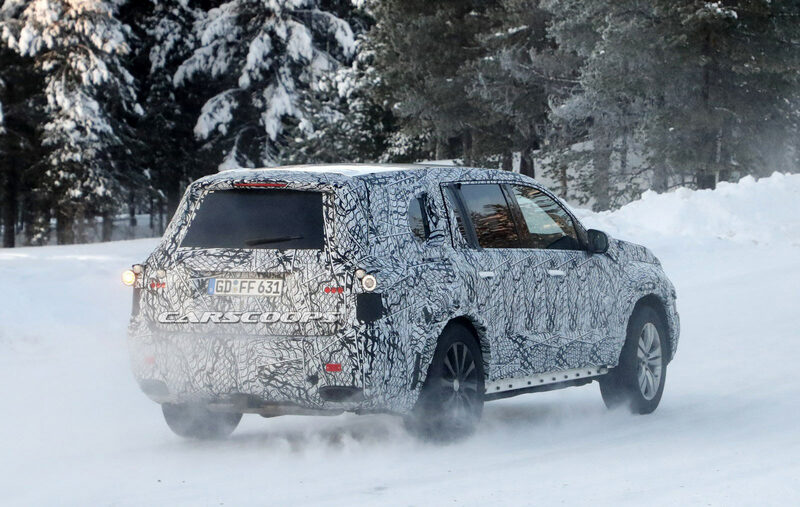 The new engine is already available on the Renault Scenic and Grand Scenic in three power levels: 115PS (113hp), 140PS (138hp) and 160PS (158hp). 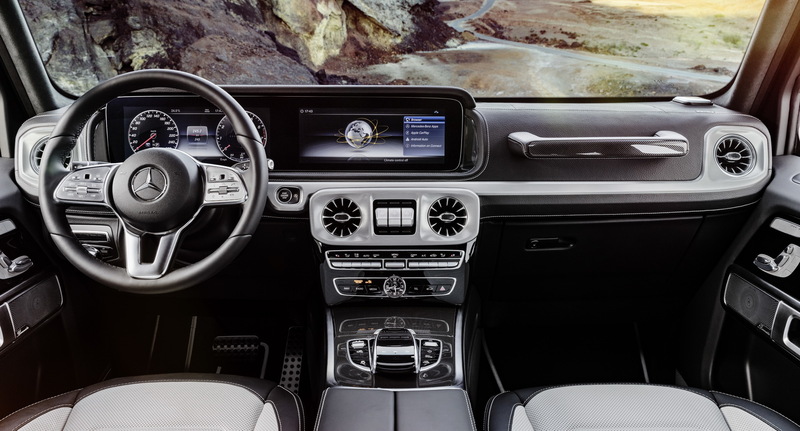 The interior of the next-gen Mercedes-Benz GLA will be very similar to the brand’s other compact cars, and it will be dominated by the MBUX infotainment system that on base trim levels will feature two 7-inch displays, whereas better-equipped models will come with two 10.25-inch or one 7-inch and one 10.25-inch screen. 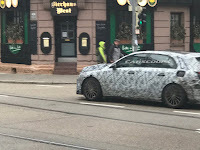 Mercedes will, reportedly, unveil the next A-Class as early as the 2018 Geneva Motor Show, in March, and then they will focus on the A-Class Saloon and CLA/CLA Shooting Brake that will be followed by the second-gen GLA shortly after, so we expect the crossover to arrive near the end of the year or in 2019. 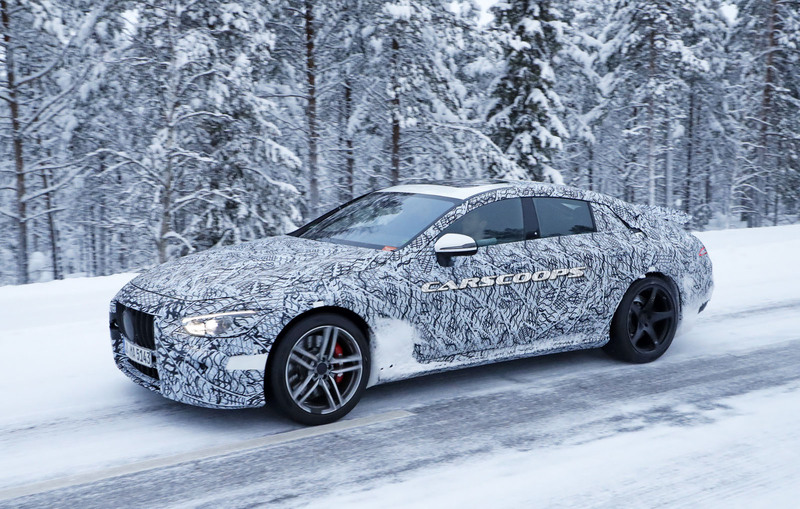 Mercedes-AMG’s yet-unnamed four-door coupe will spark a new war with its arrival in late 2018 in the hyper-saloon segment. 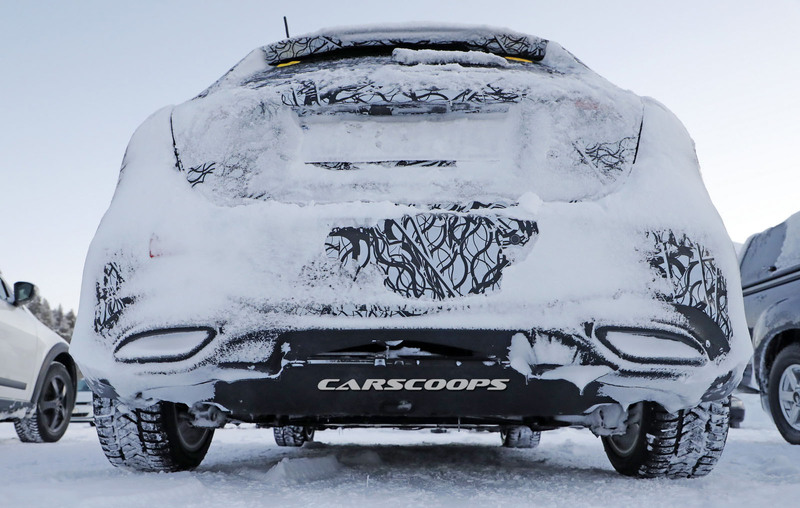 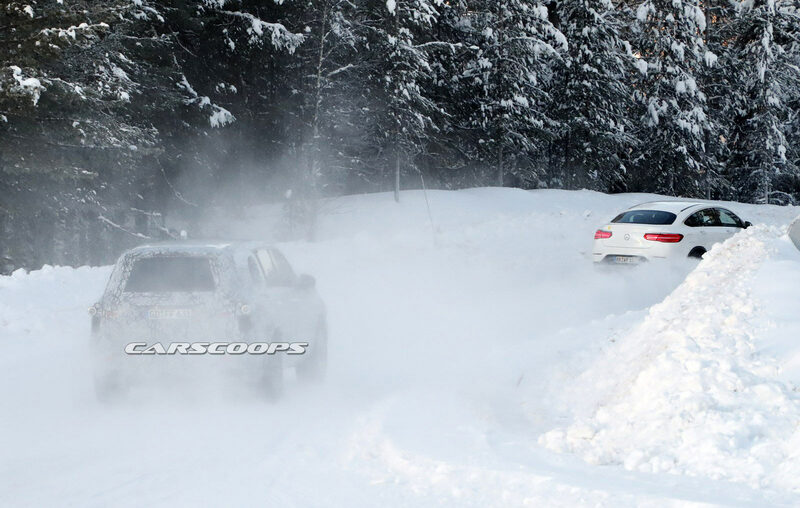 Our spies spotted a pair of prototypes being tested in cold-weather conditions, with the cars still being covered under a light camouflage wrap. 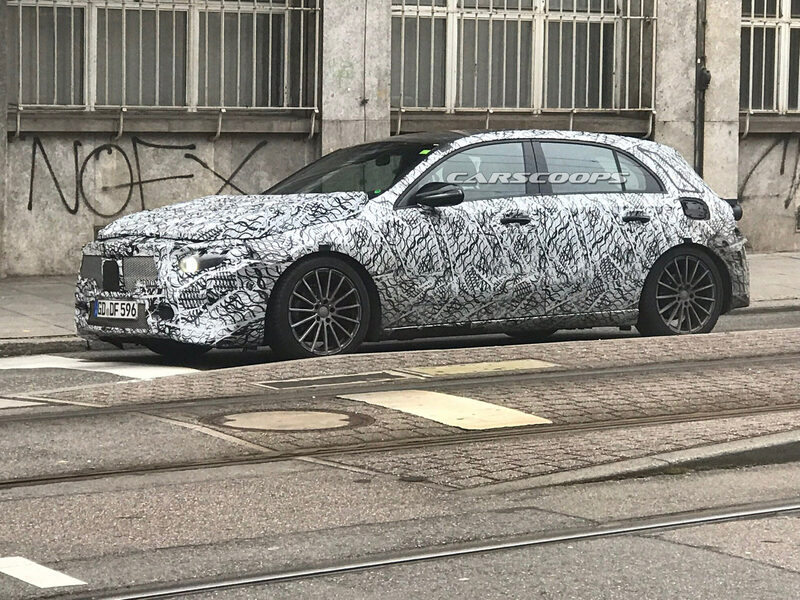 The first dedicated four-door model from AMG is planning to offer a series of new, performance-focused plug-in hybrid powertrains under the EQ brand, producing up to 805hp. 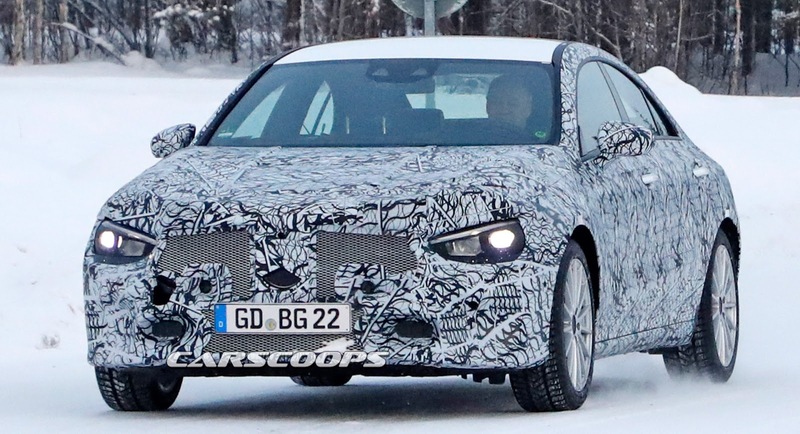 The colossal power figure will be combined with a 31-mile driving range on electric power alone according to the latest reports. 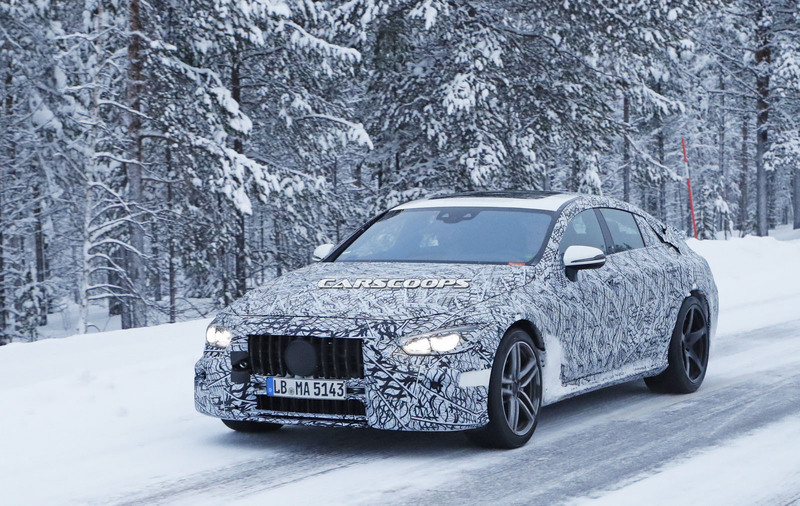 This will not only position it directly against the Porsche Panamera Turbo S E-Hybrid, but it will also make it the most powerful saloon on the market. 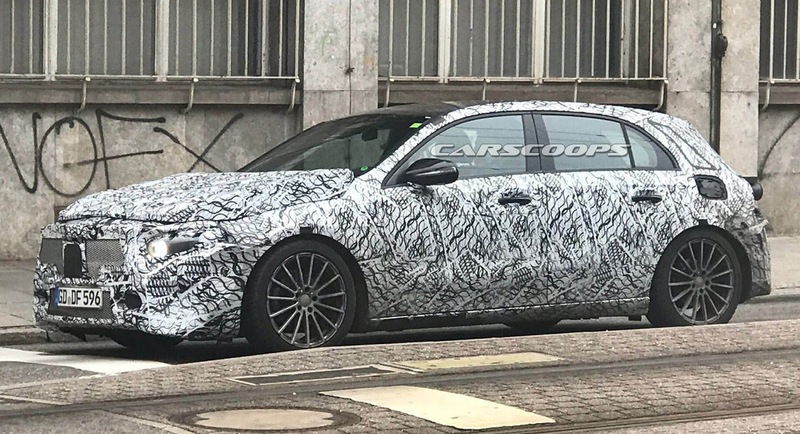 The four-door AMG will feature wider tracks compared to the current E63 AMG but it will sit closer to the ground and of course have a lower and unique roofline for that coupe-like vibe. 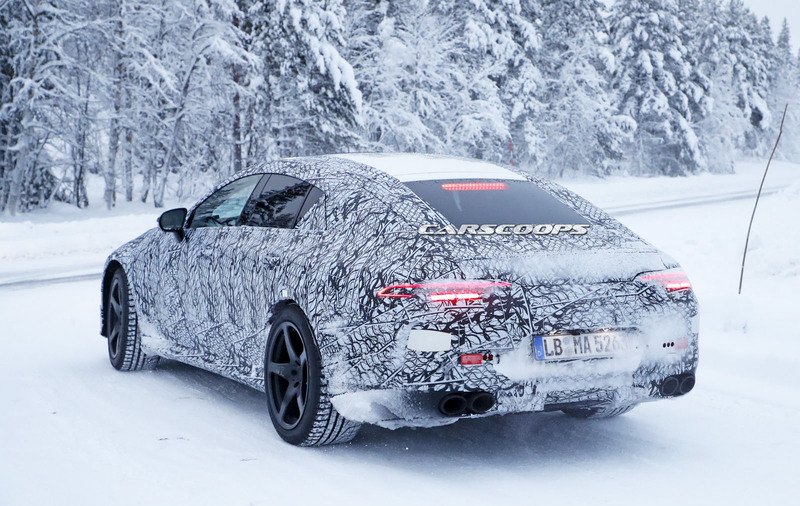 Mercedes-AMG’s upcoming Panamera rival will be initially launched with the same 604hp 4.0-liter twin-turbo V8 engine that the E63 is using, paired to a nine-speed automatic gearbox and the configurable all-wheel drive system. 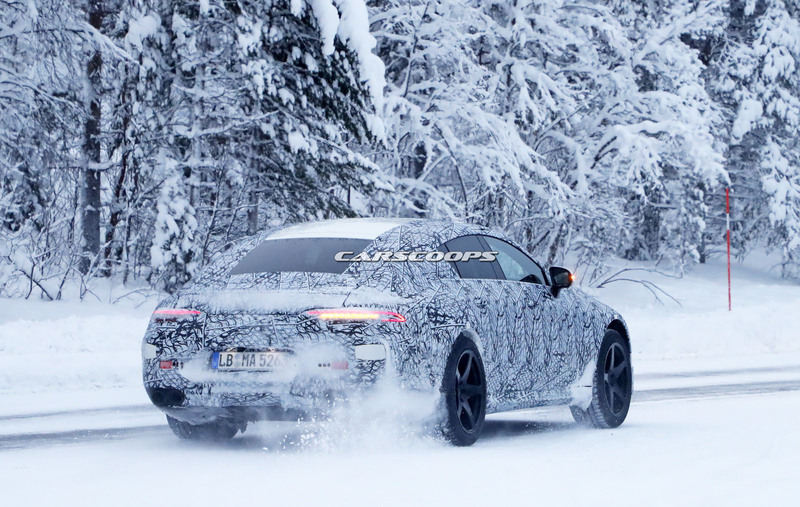 The latest reports talk about the new Mercedes AMG making a possible debut at the Geneva Motor Show this March, with sales to begin later in 2018 and the plug-in hybrid versions to arrive in 2019. 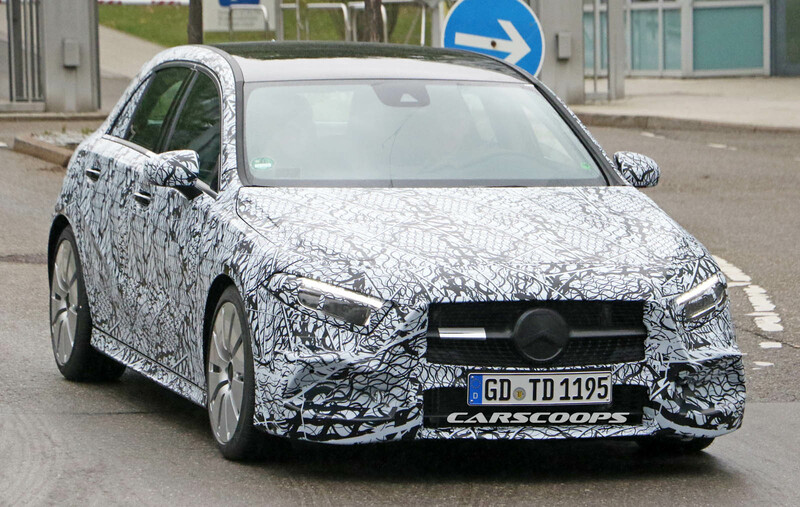 Mercedes-Benz continues to apply the final touches on the facelifted C-Class and was recently snapped putting a refreshed C-Class Cabriolet through its paces in Germany. 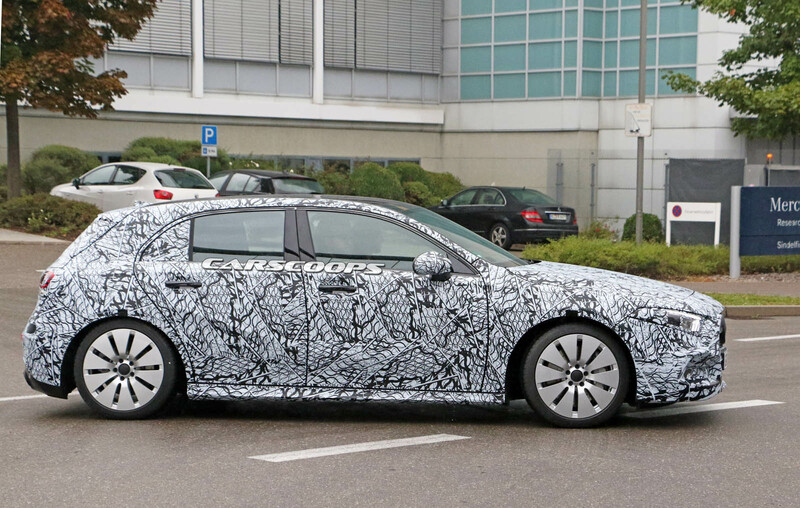 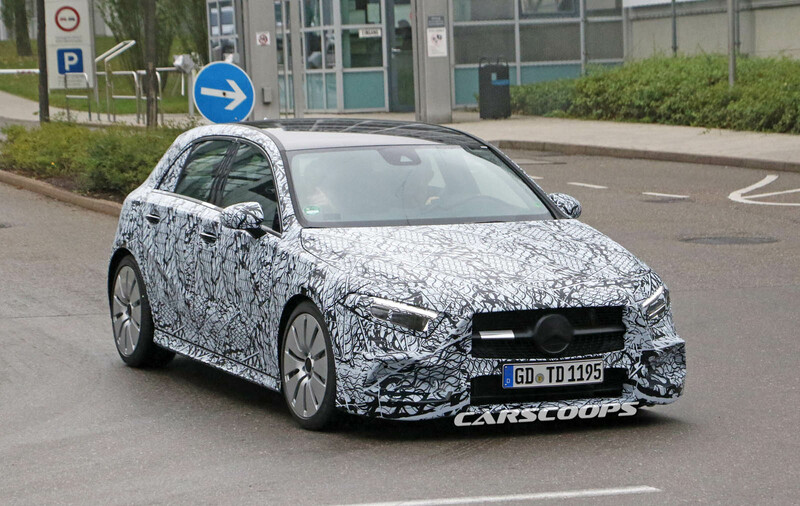 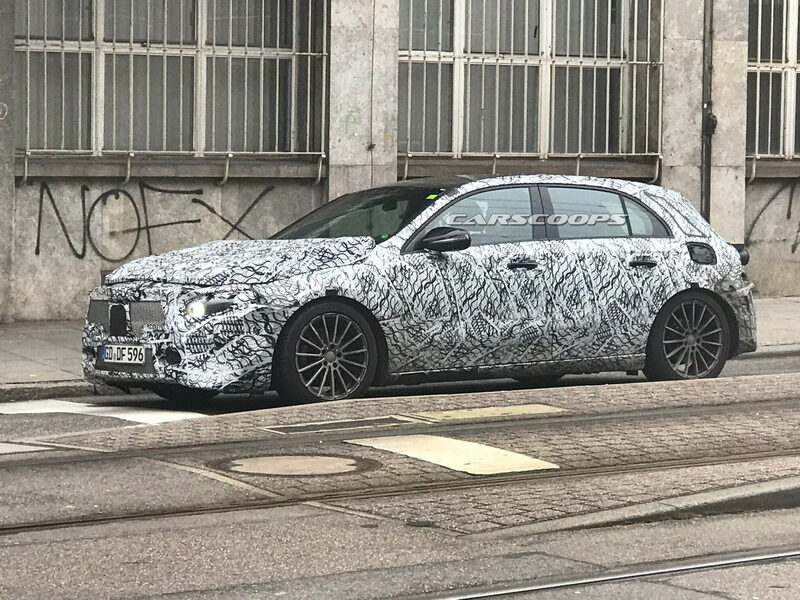 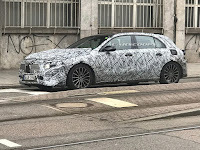 As with previous prototypes of the facelifted C-Class, this one has very little camouflage, showing that the carmaker has only made a few minor adjustments from the current car. 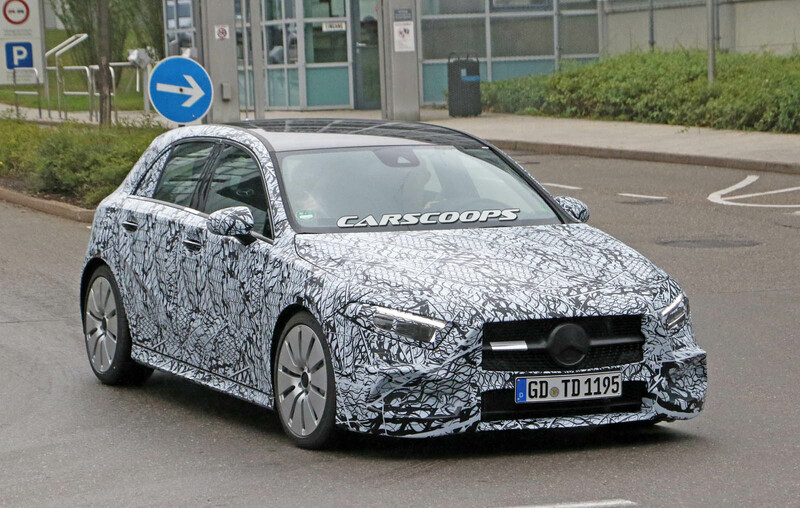 It seems apparent that most of these tweaks will be focused on the front fascia. 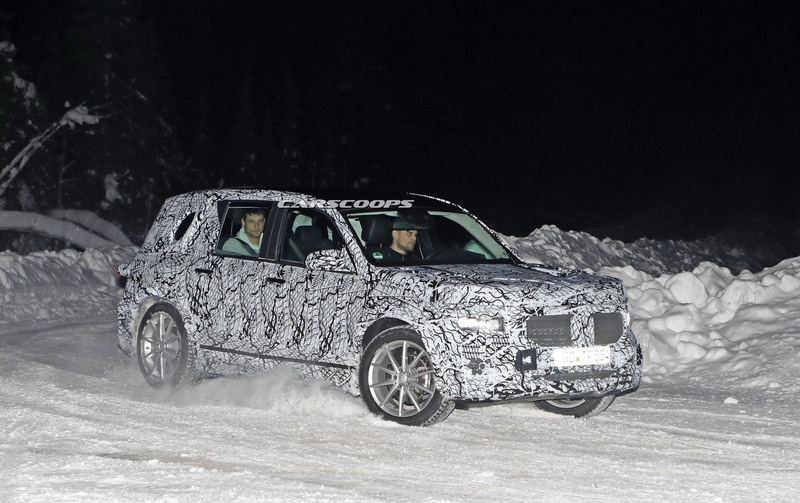 Specifically, cladding over the front bumper suggests that something new is in the works. 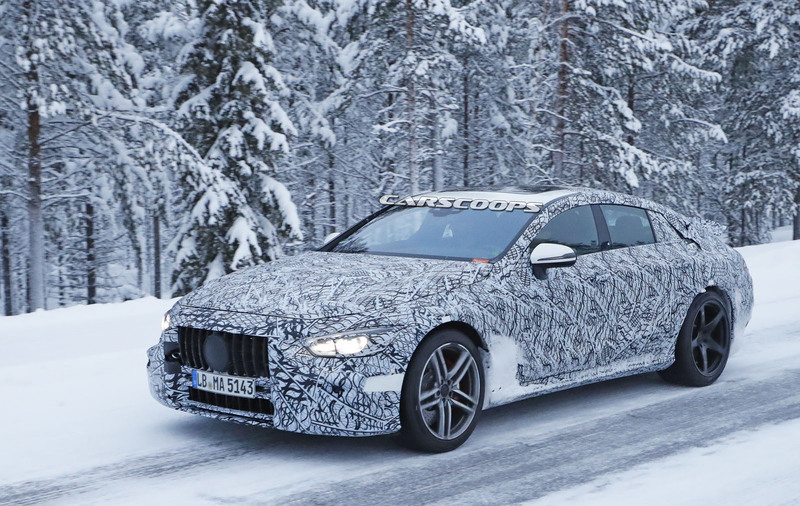 Surprisingly, the front grille of this prototype appears largely unchanged from the current car. 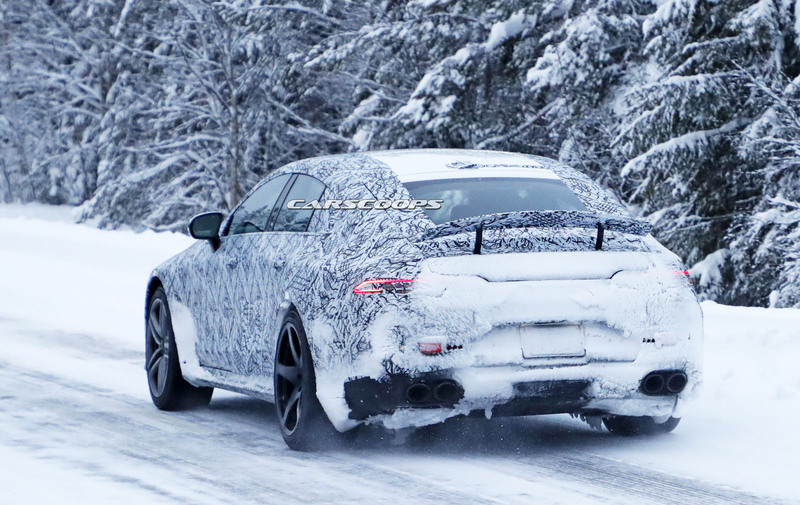 Final exterior tweaks will be made to the headlights, taillights, side skirts, and rear bumper. 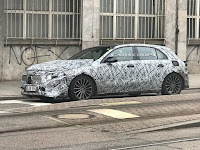 Inside, the facelifted C-Class is expected to adopt a fully-digital instrument cluster and the brand’s latest infotainment system. 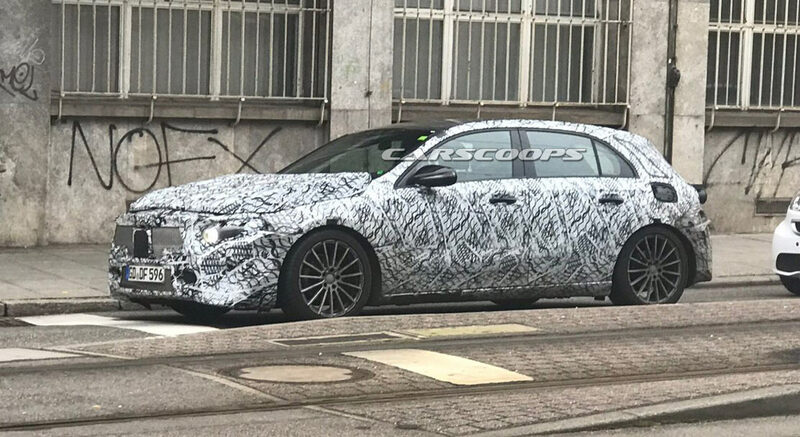 Expect to see the new C-Class premiere during the first few months of 2018. 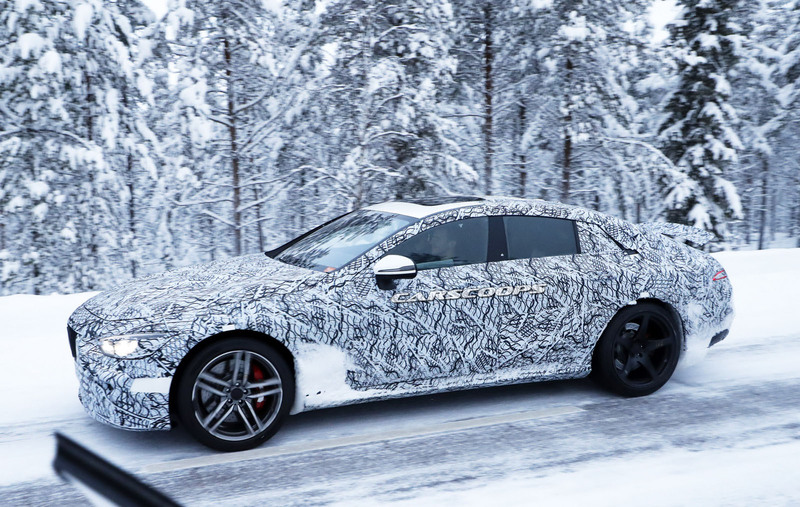 With many people saying that the new-generation CLS looks a lot better in person than it does in pictures, here’s our chance to see more of the car in its natural environment. This CLS 450 version was spotted near Stuttgart and thanks to walkoART, we get to see it next to multiple other Mercedes-Benz models, including a CLA Shooting Brake, which is actually taller than the new CLS. 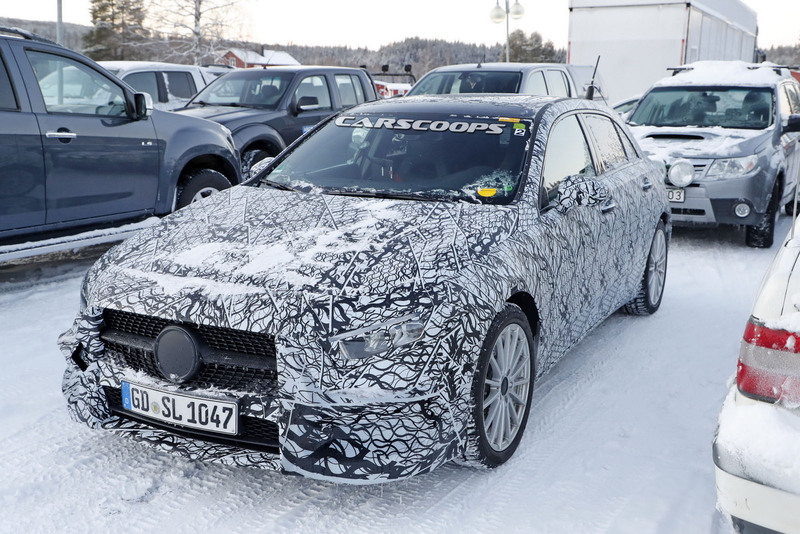 In 450 4MATIC guise, the new CLS utilizes a 367 PS (362 HP) and 500 Nm (369 lb-ft) 3.0-liter petrol engine, and is priced from €70,906 ($83,445) in Germany. 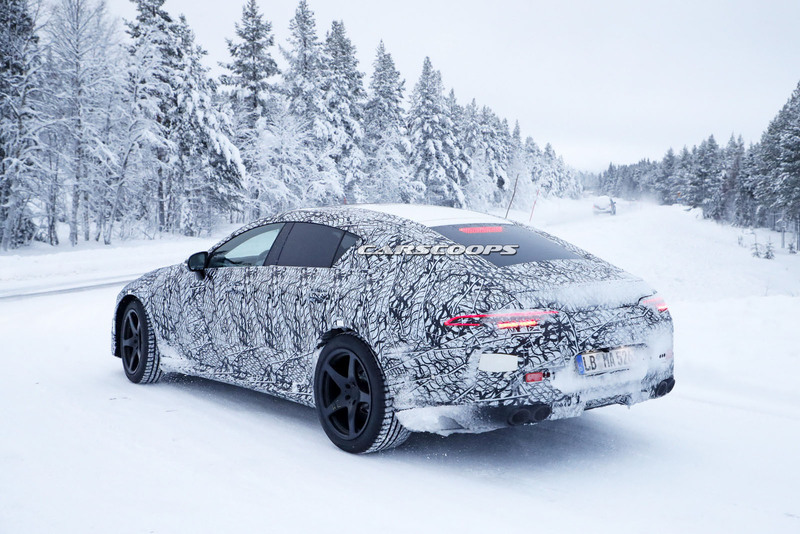 It will do 0 to 100 km/h (62 mph) in 4.8 seconds and has a combined fuel consumption of 7.5 liters/100 km, which comes down to about 31.3 mpg US, or 37.6 mpg UK. 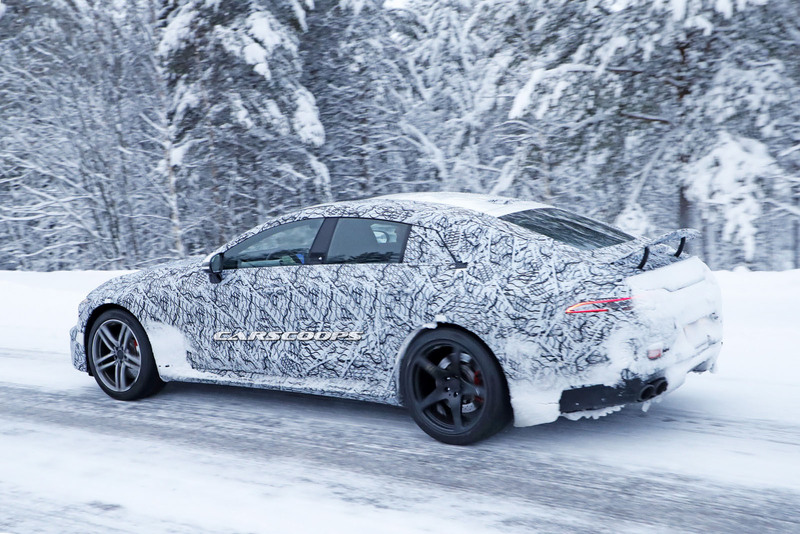 If we were to give the 2019 CLS the benefit of the doubt, we should be willing to get really up close and personal with it before we draw any final conclusions regarding its styling – particularly at the rear. 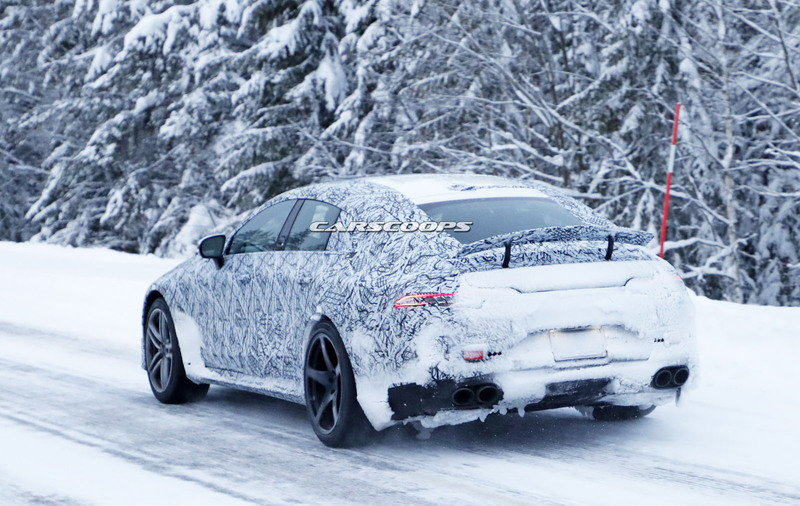 Otherwise, this short clip does very little in helping it look more appealing than it did at the LA Auto Show earlier this month.